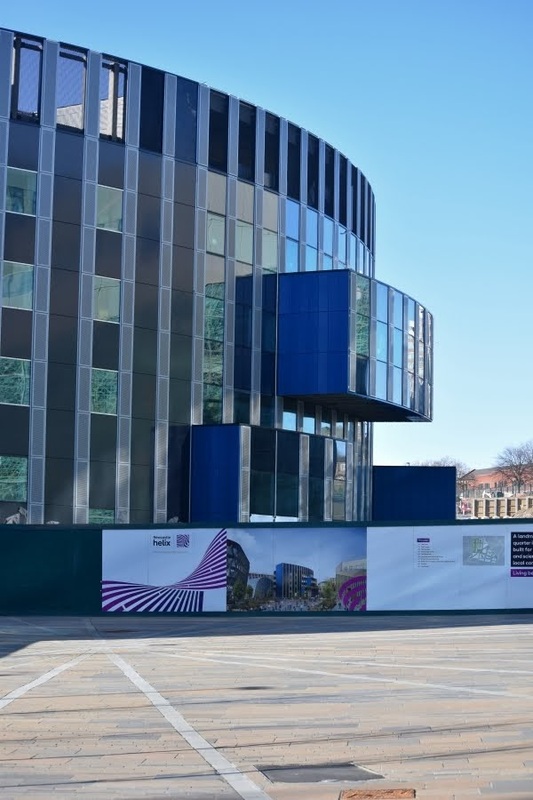 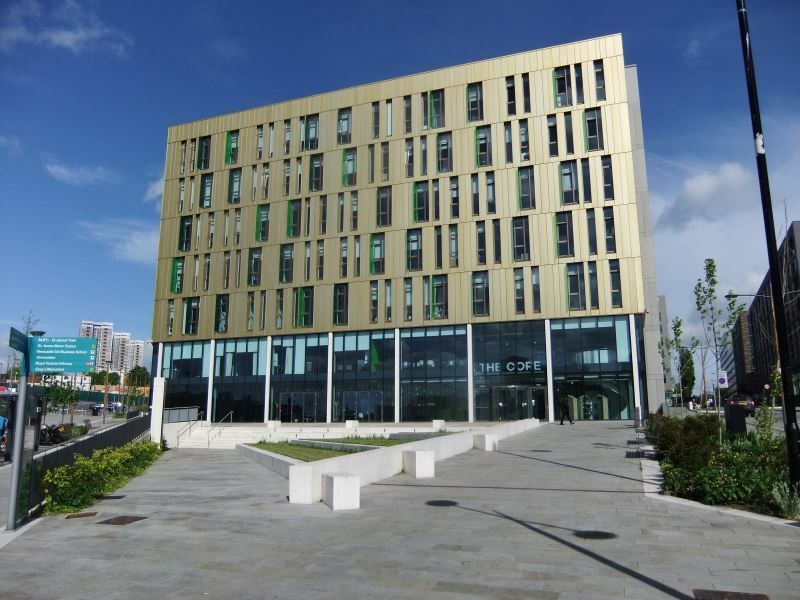 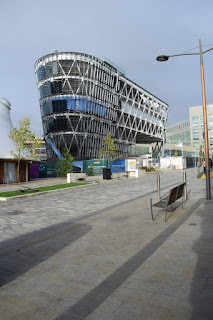 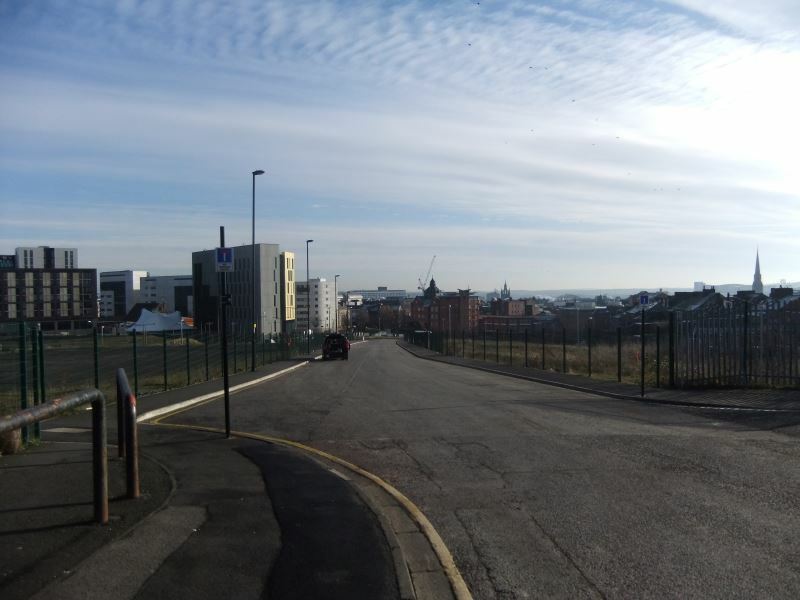 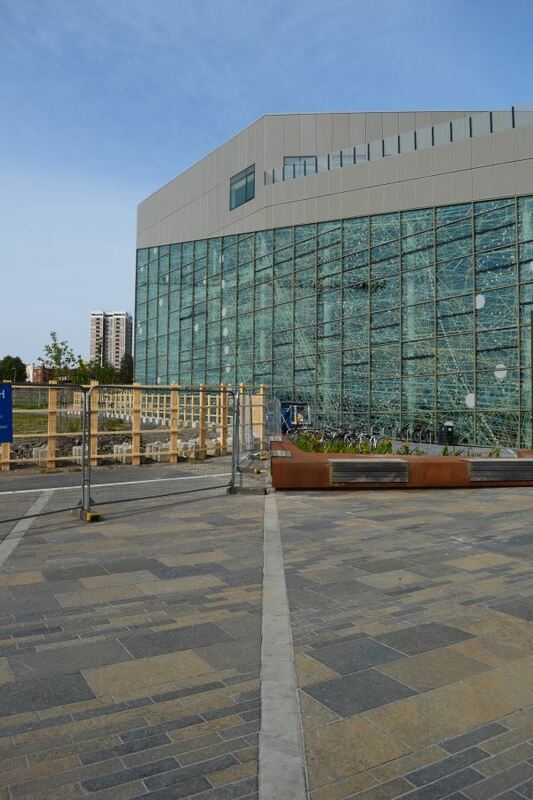 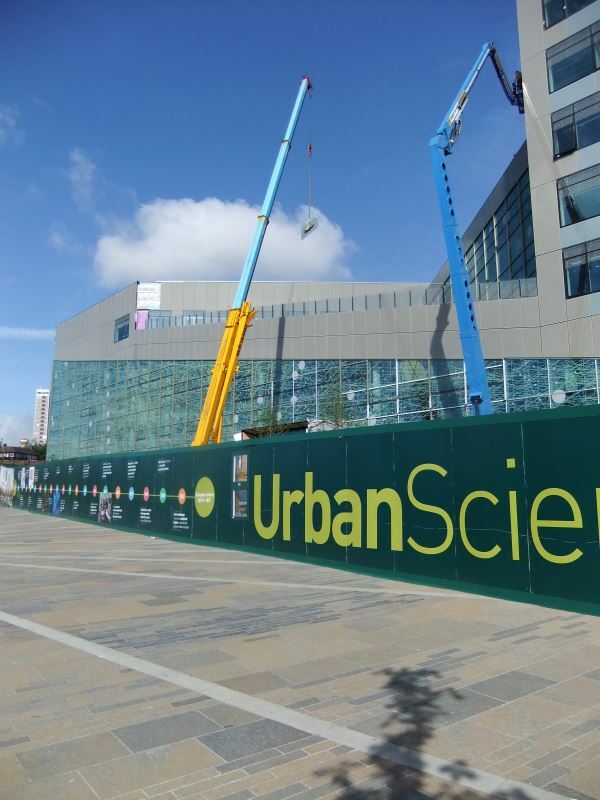 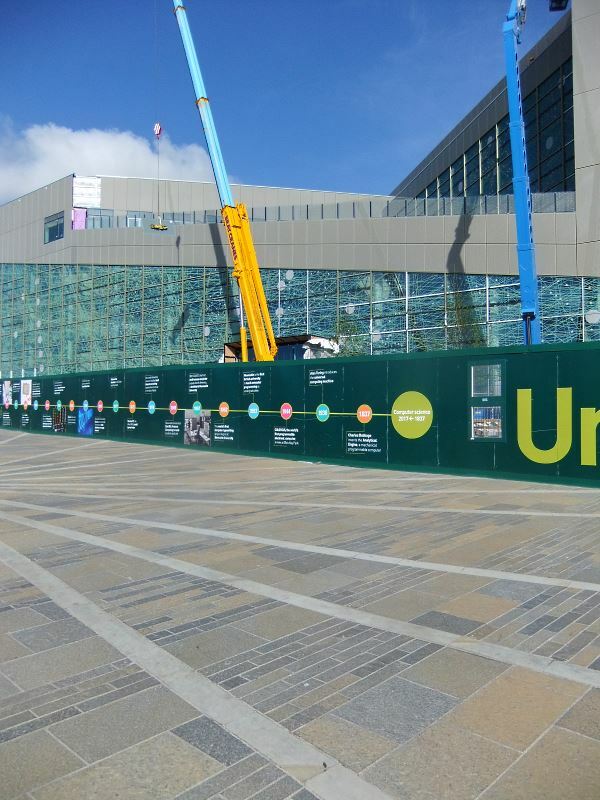 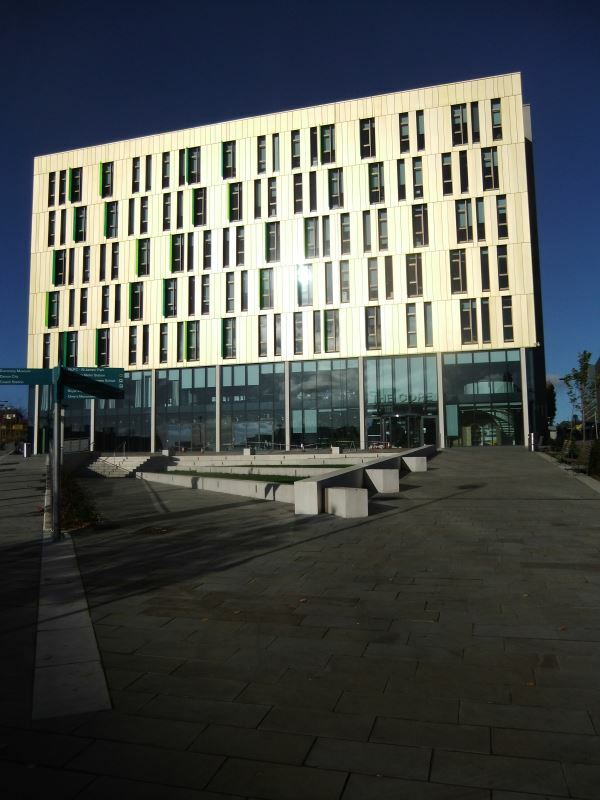 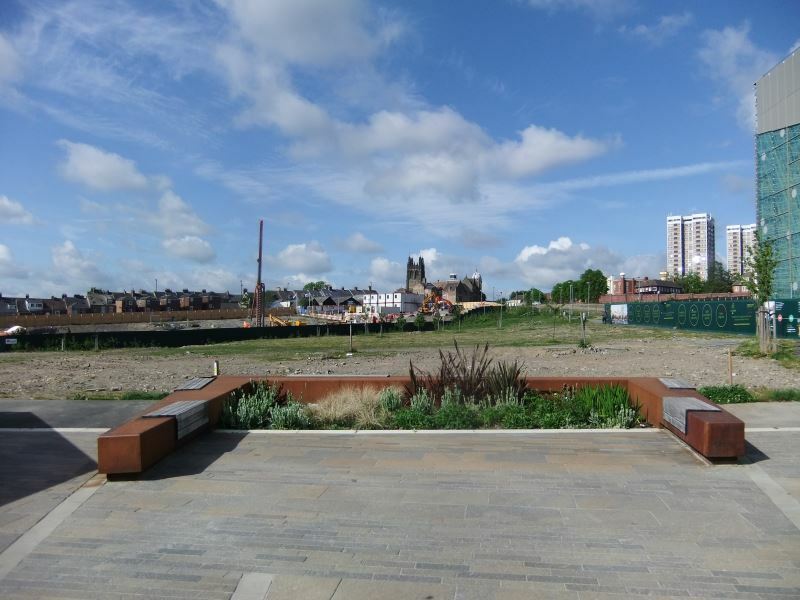 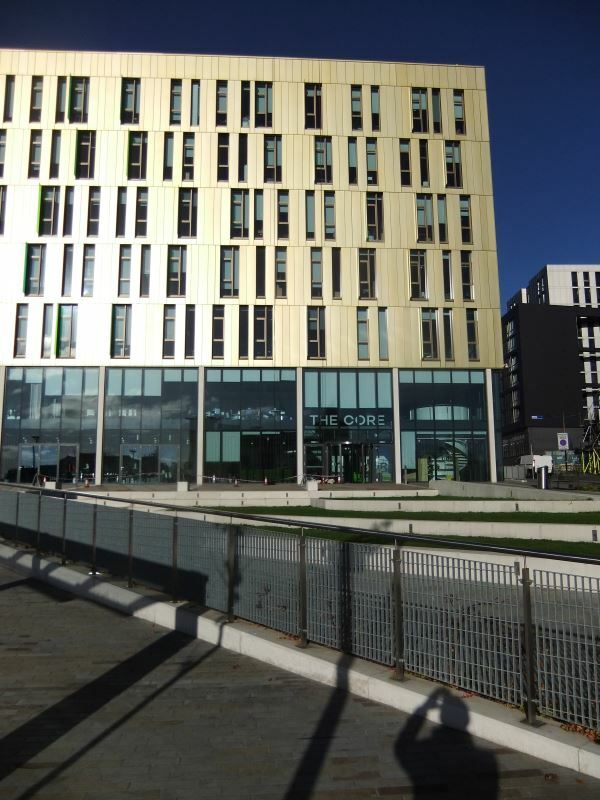 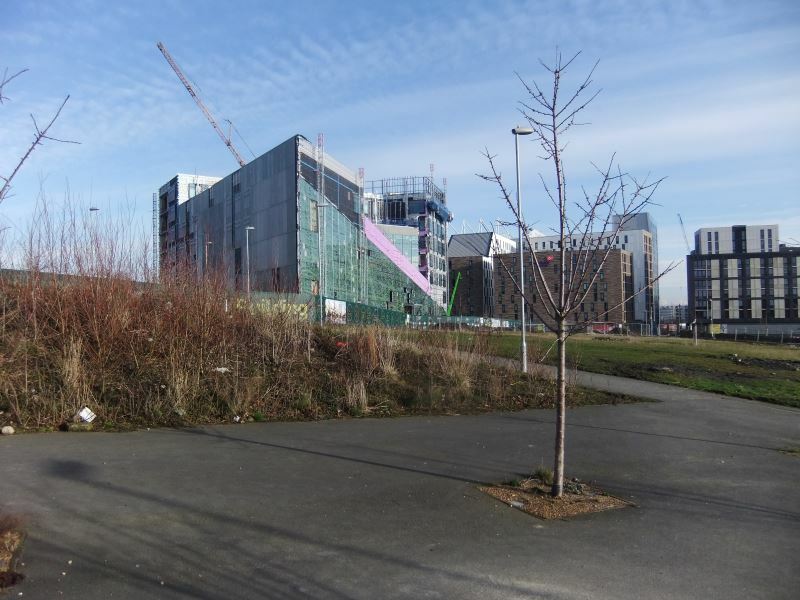 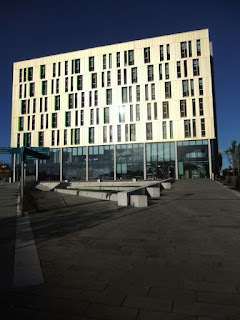 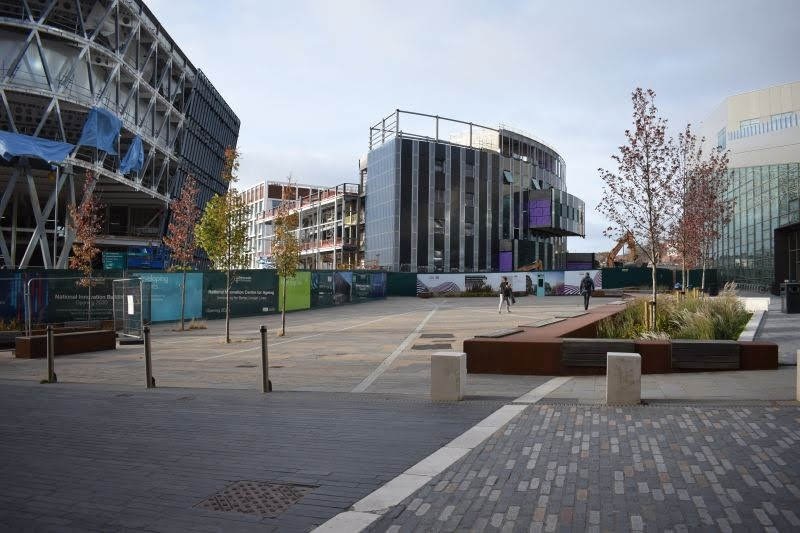 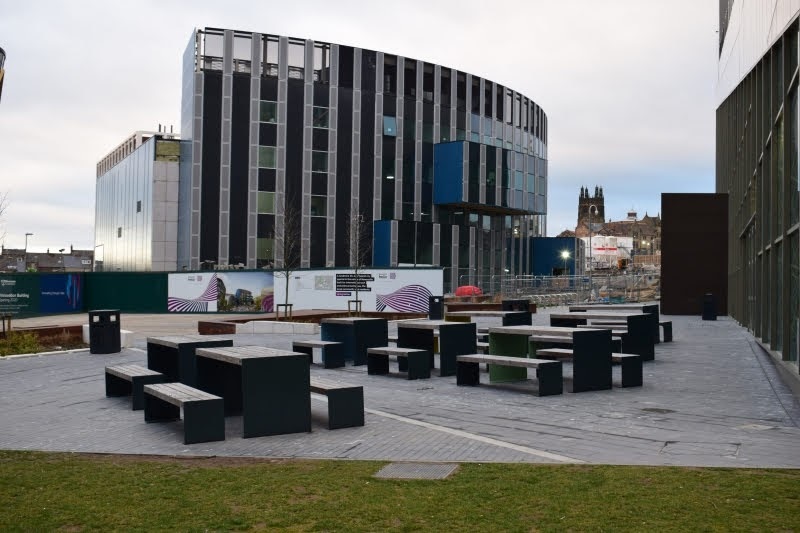 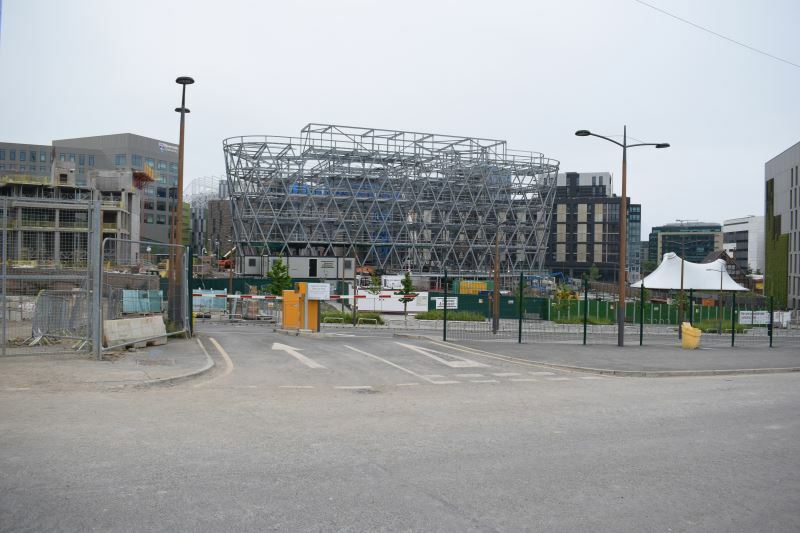 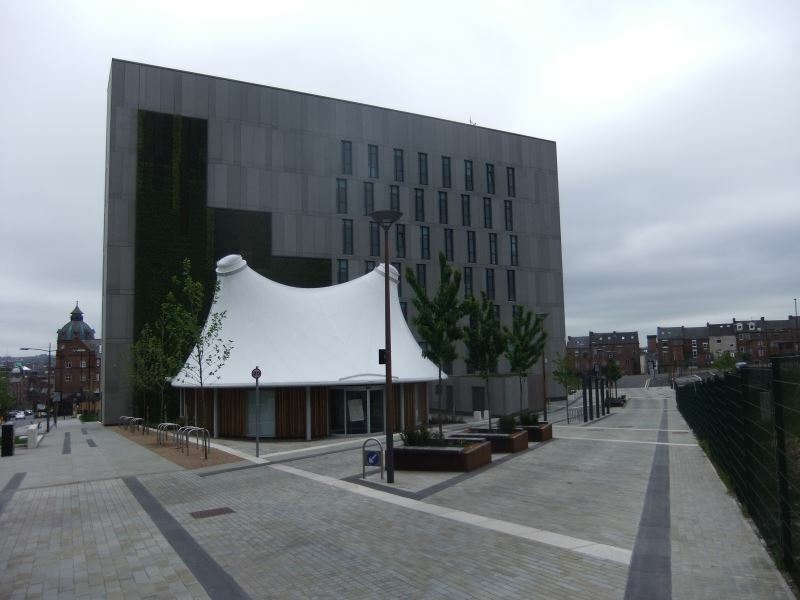 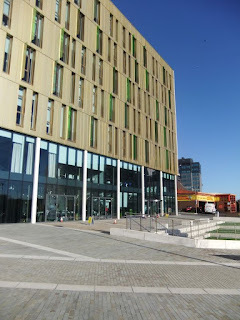 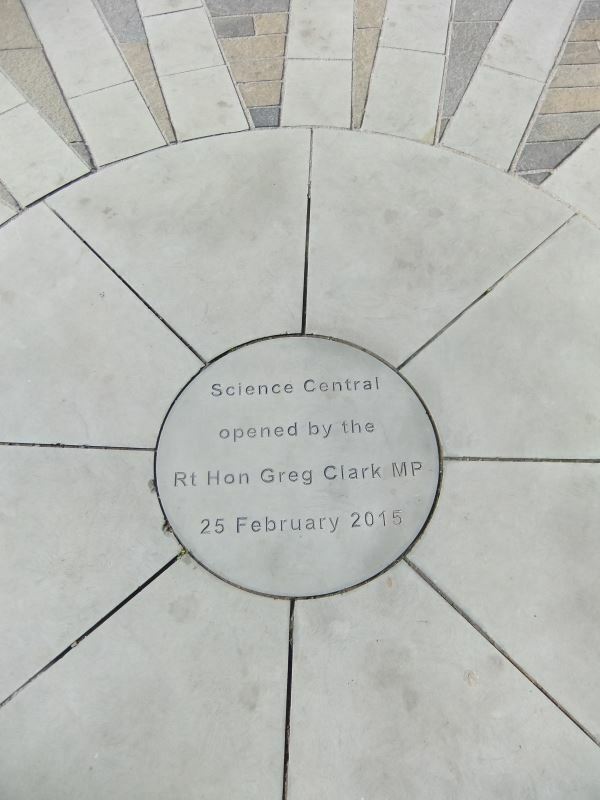 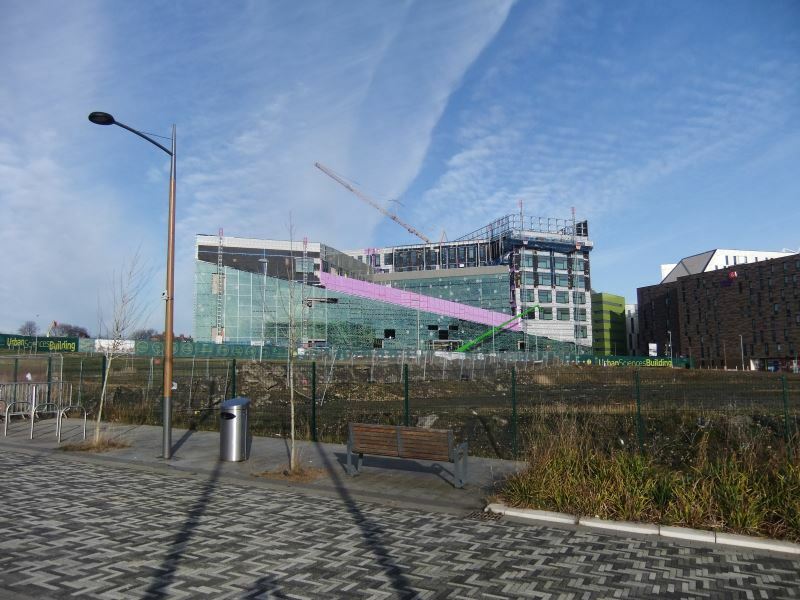 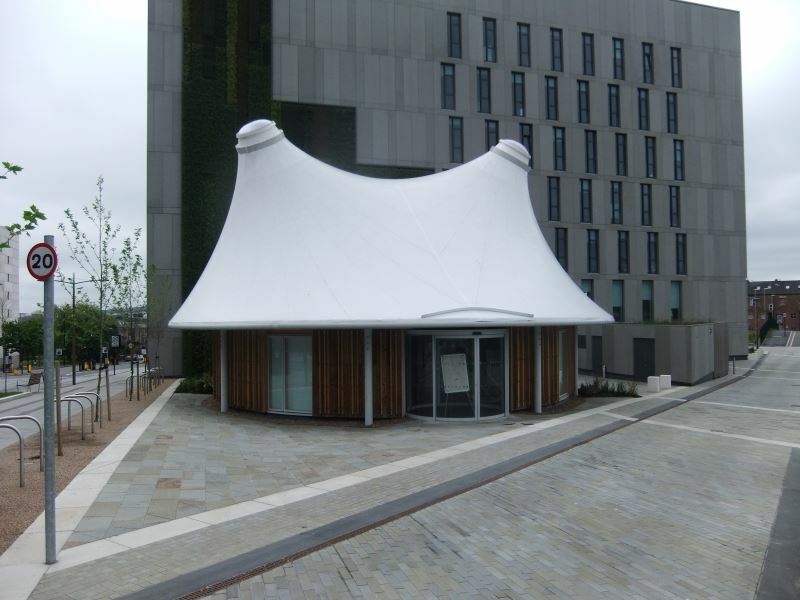 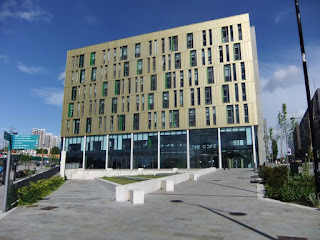 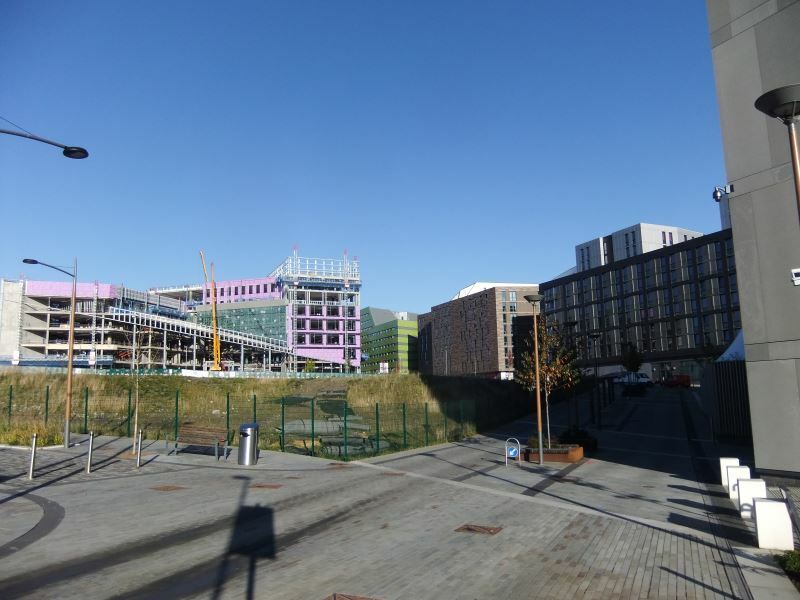 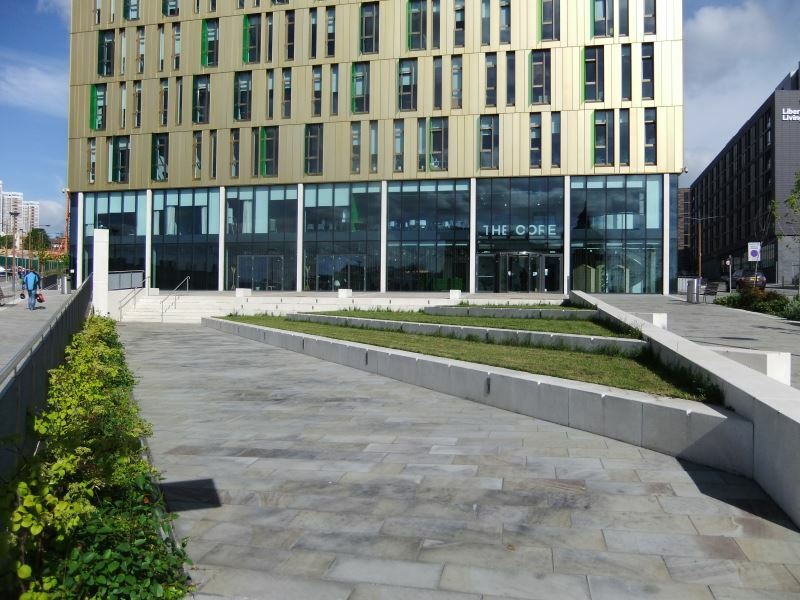 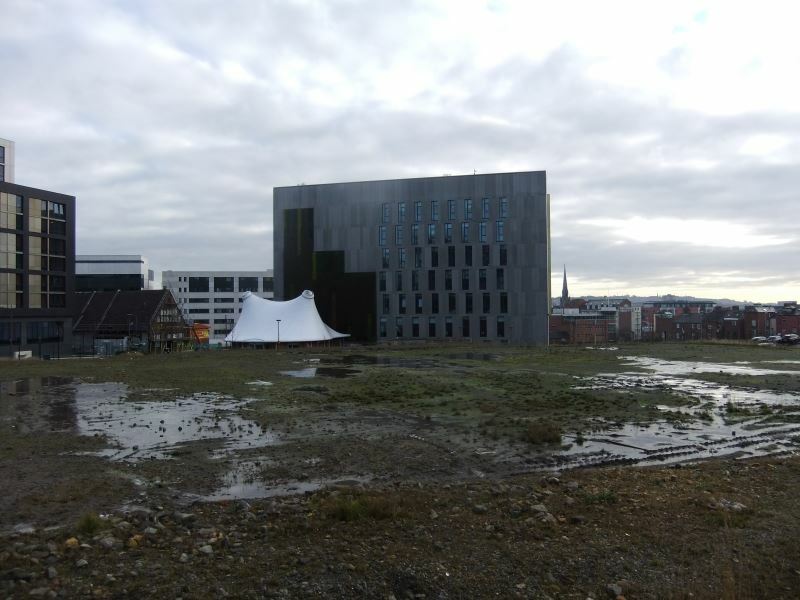 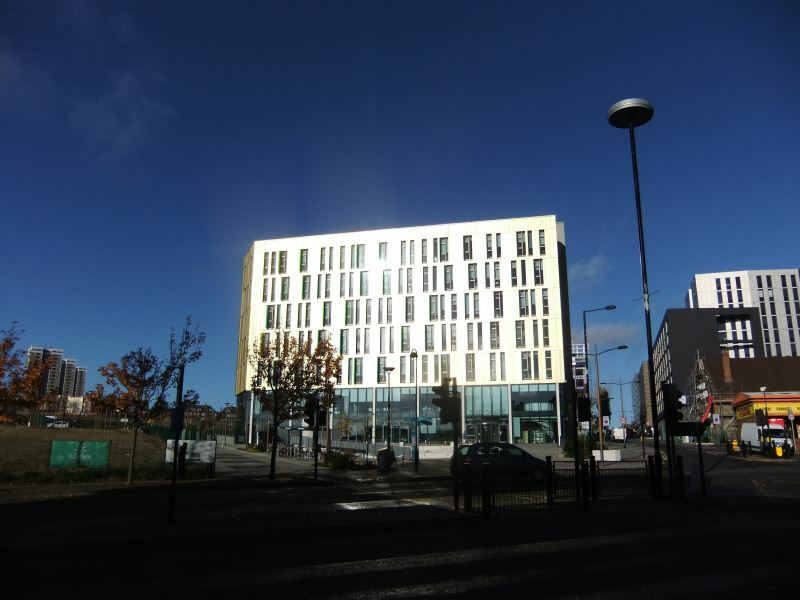 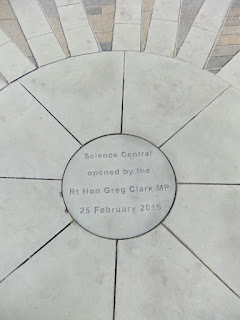 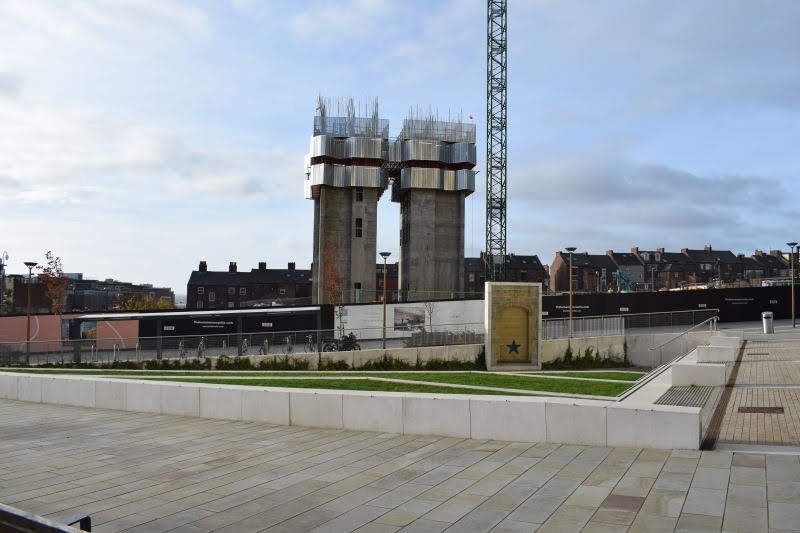 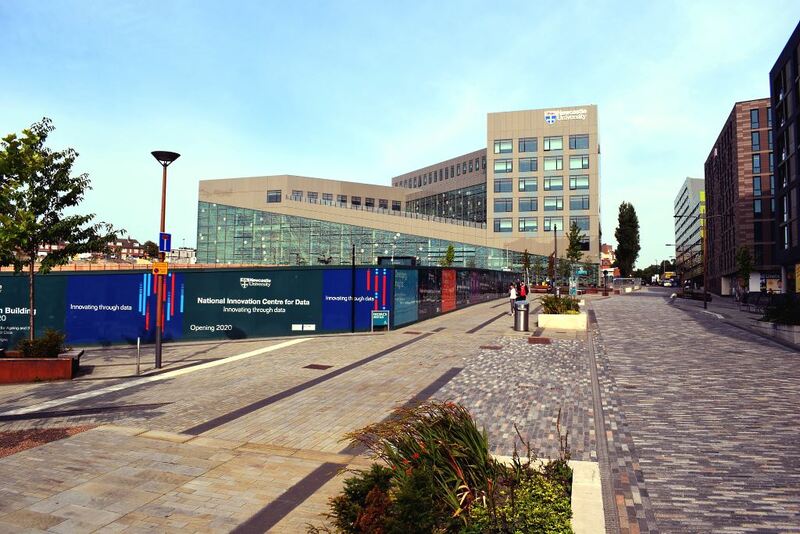 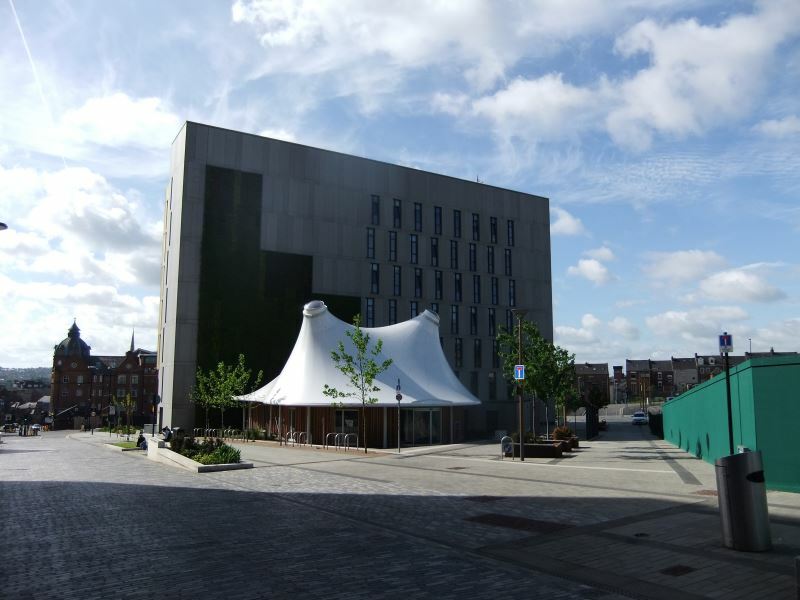 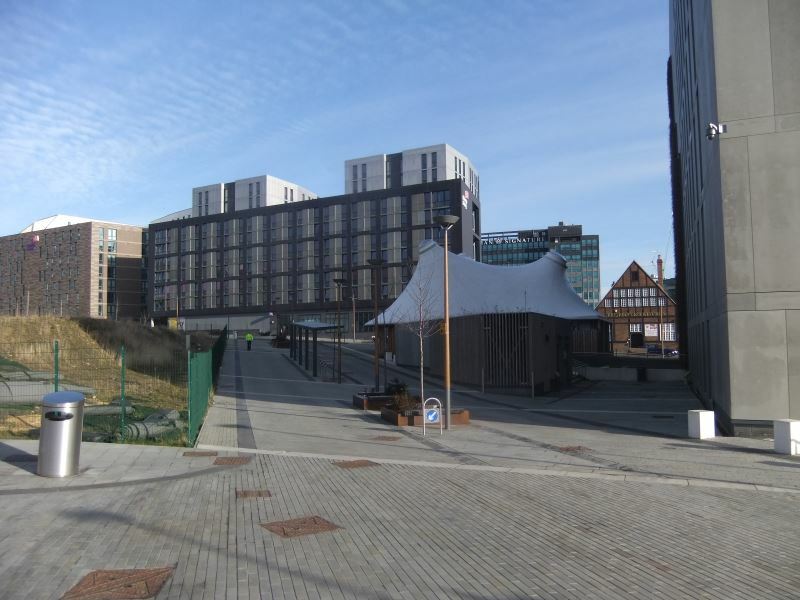 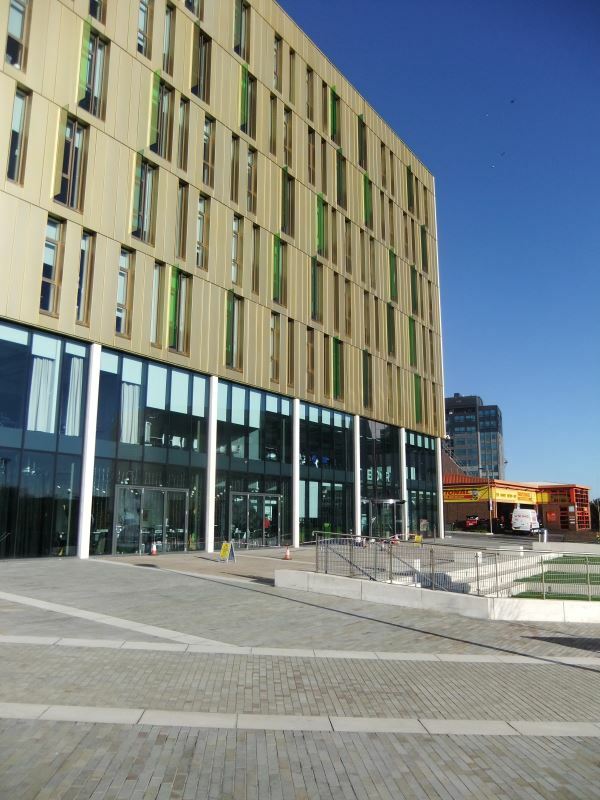 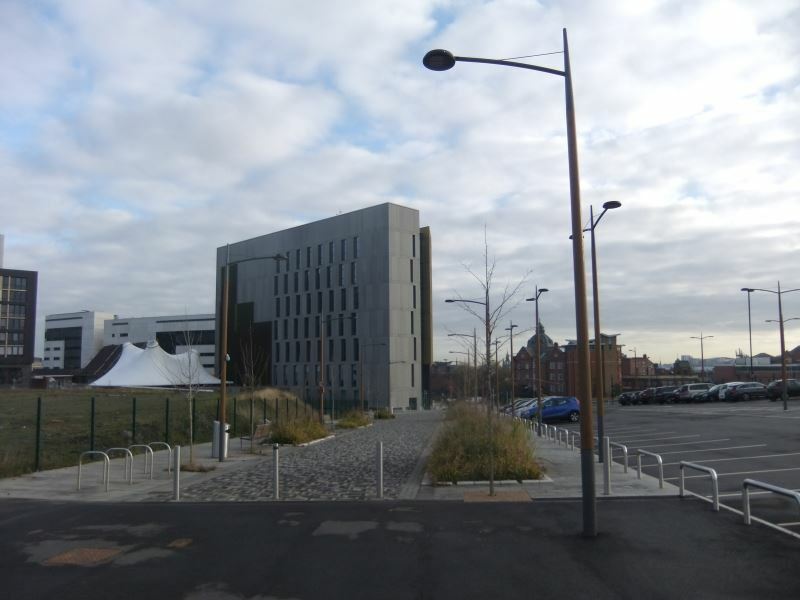 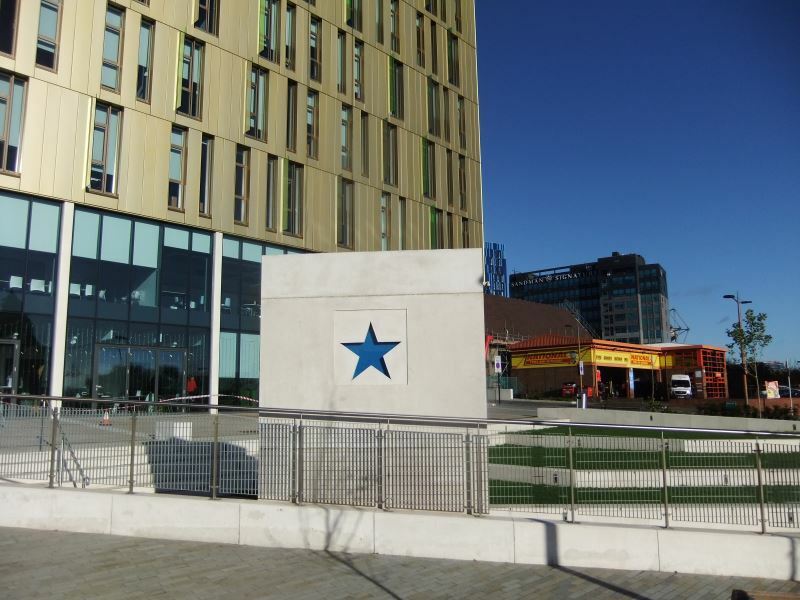 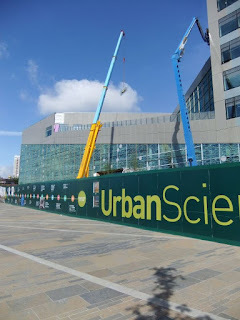 Newcastle Science Central is a new urban quarter in the centre of Newcastle which will be an exemplar of sustainable urban development. 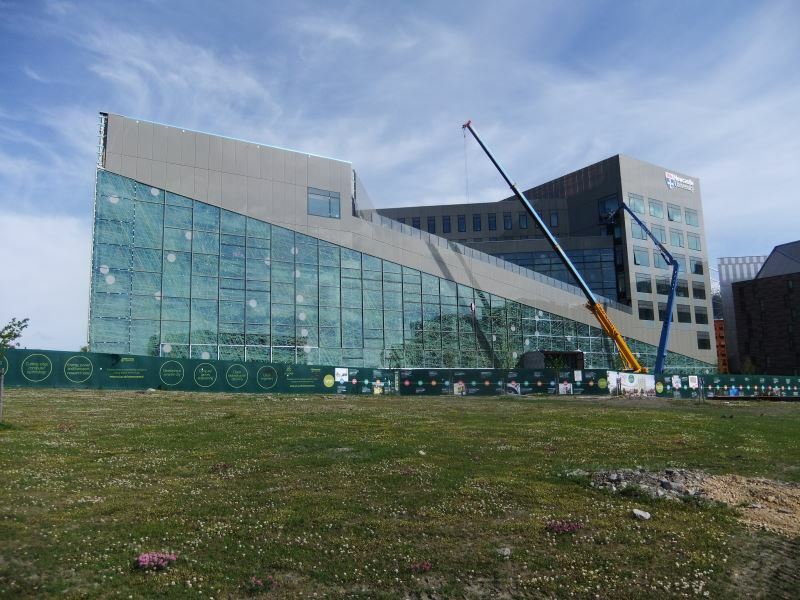 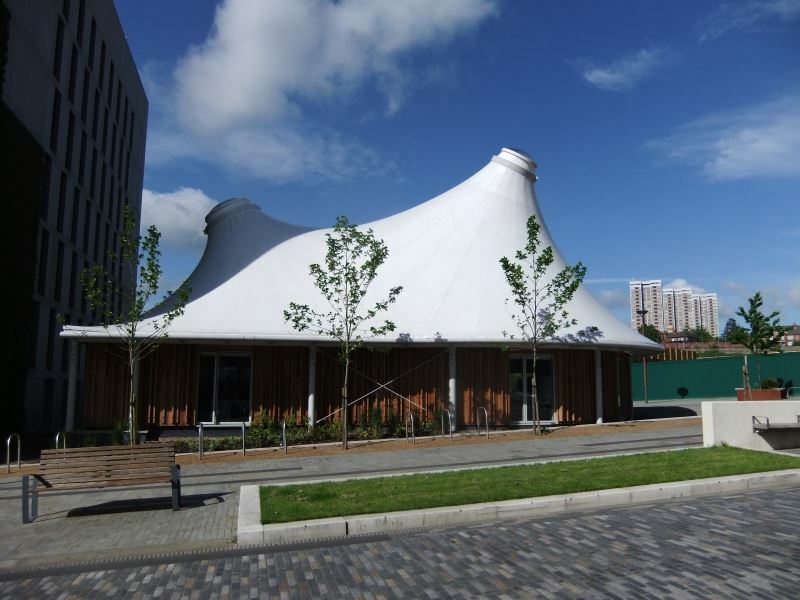 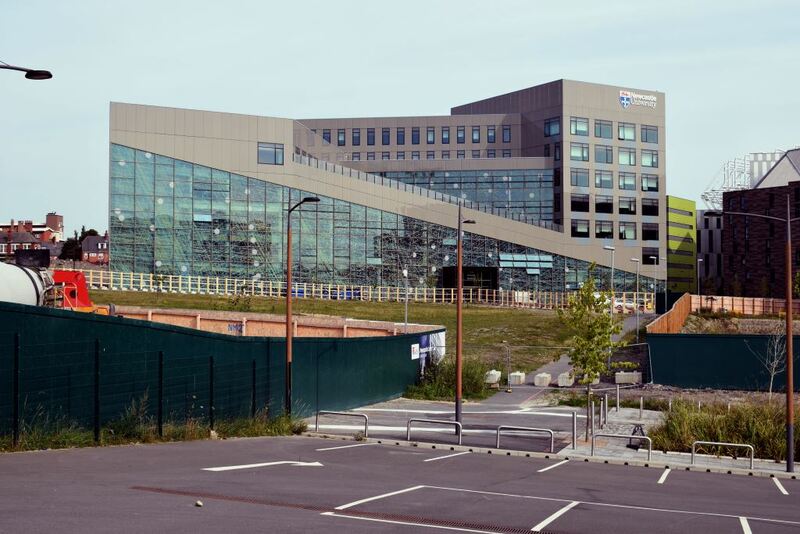 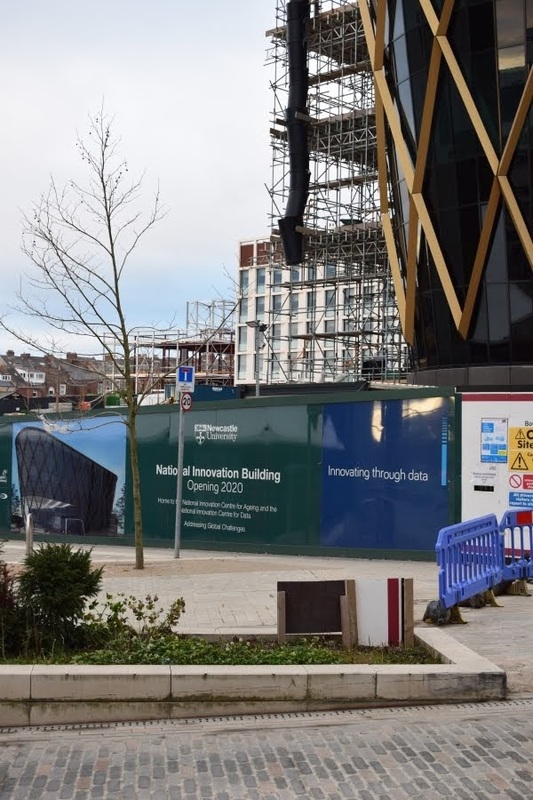 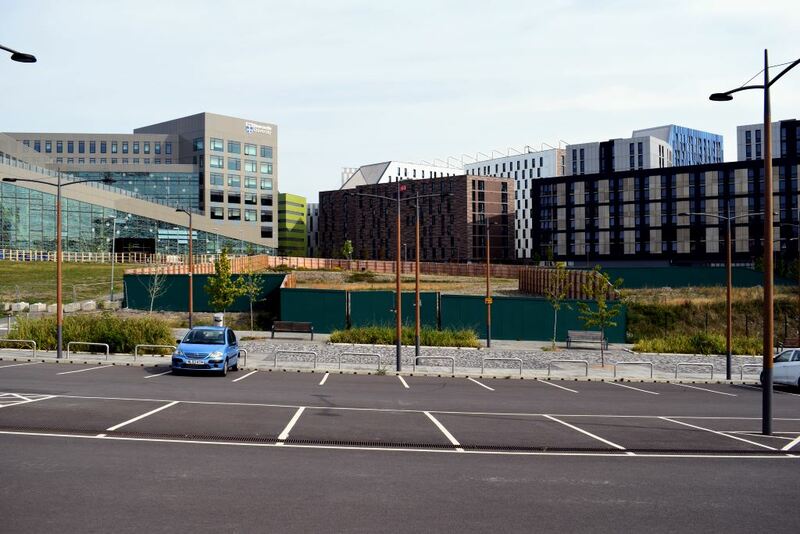 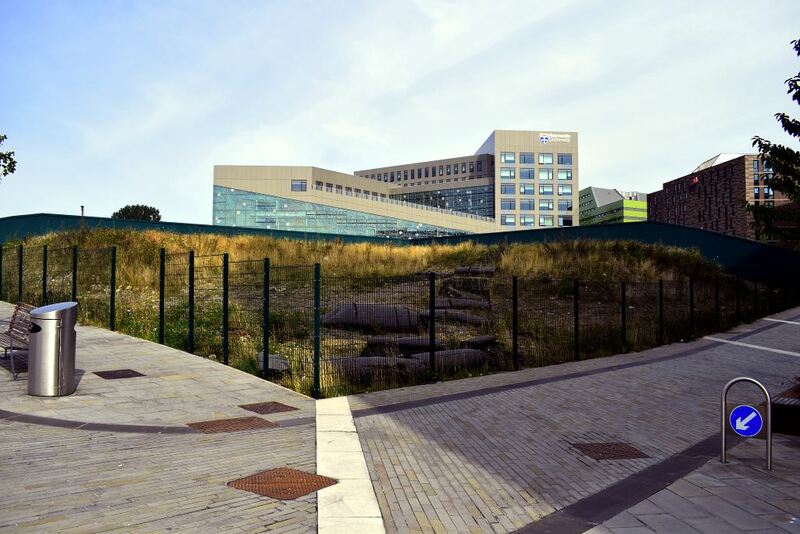 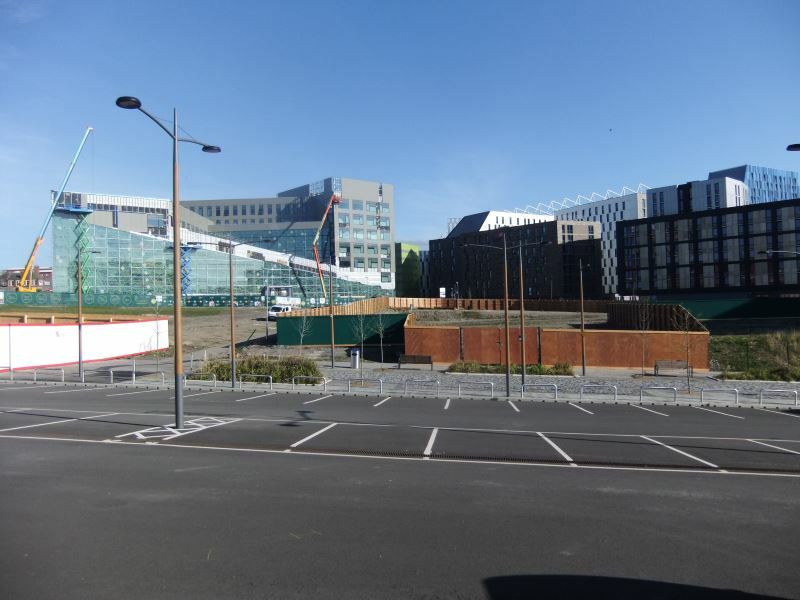 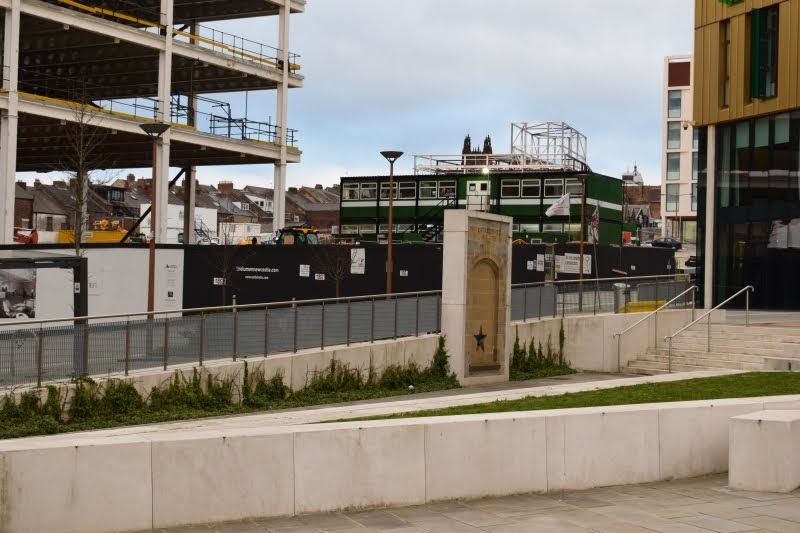 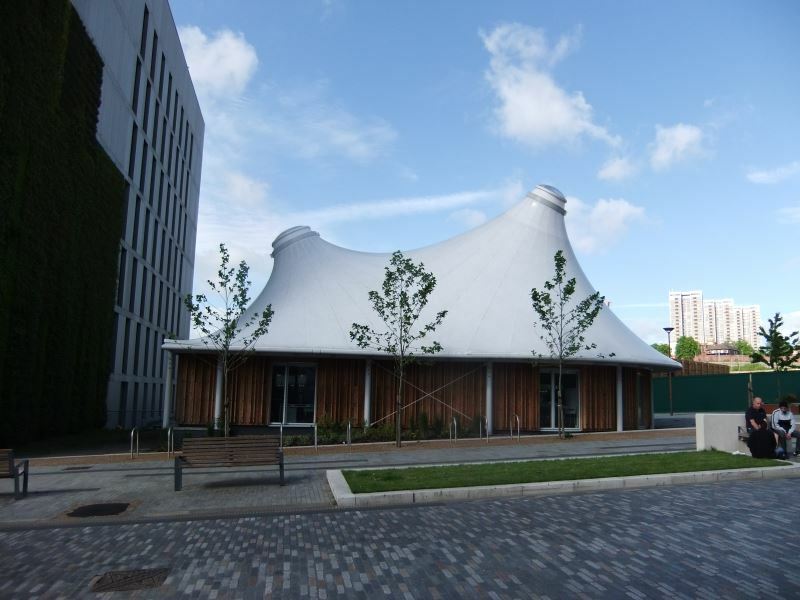 It will attract leading edge scientific and technology organisations to a mixed new community encompassing a variety of R&D, educational, business and residential uses. 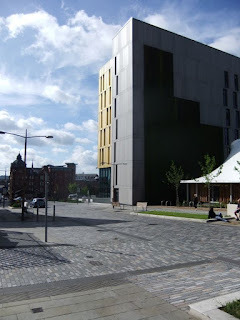 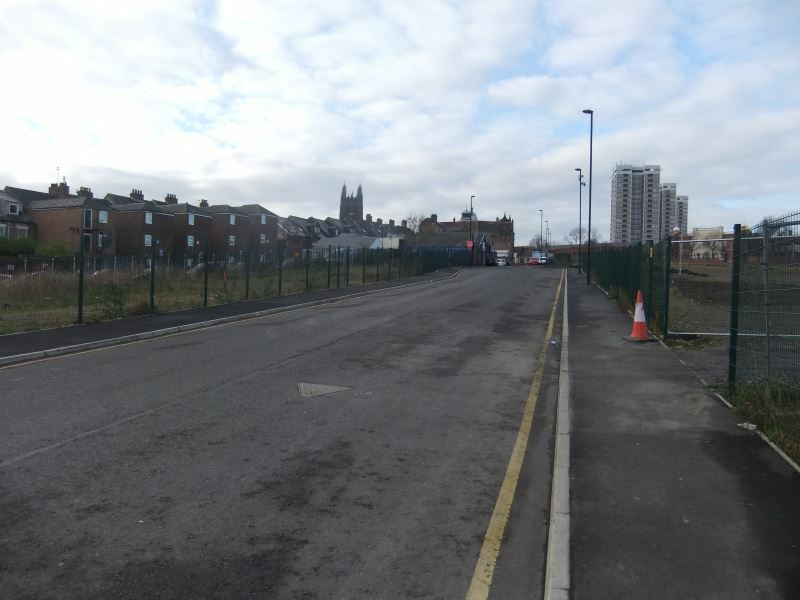 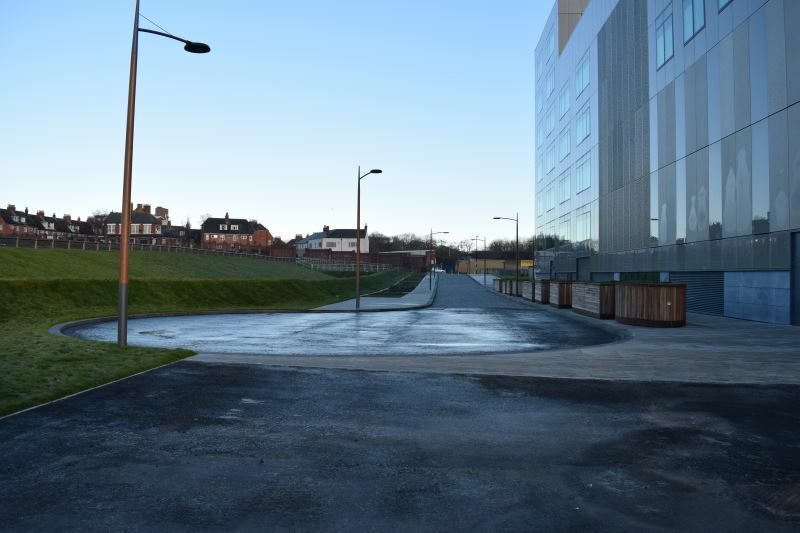 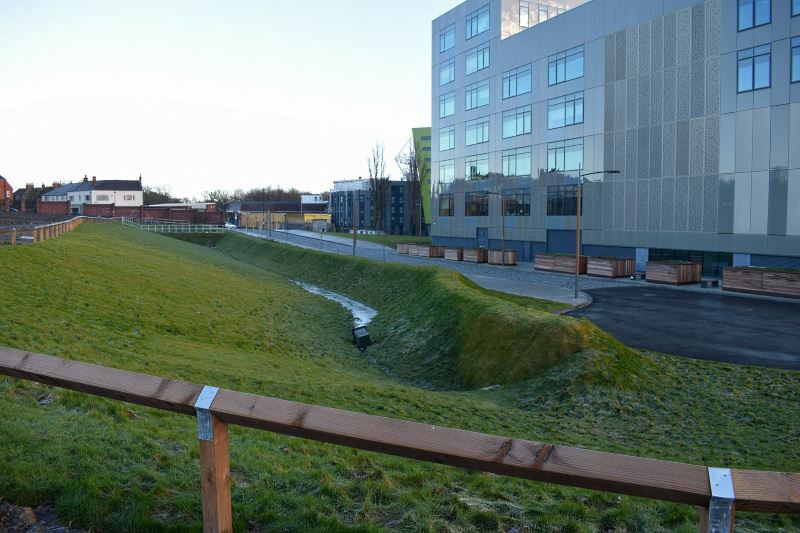 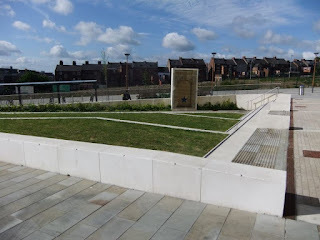 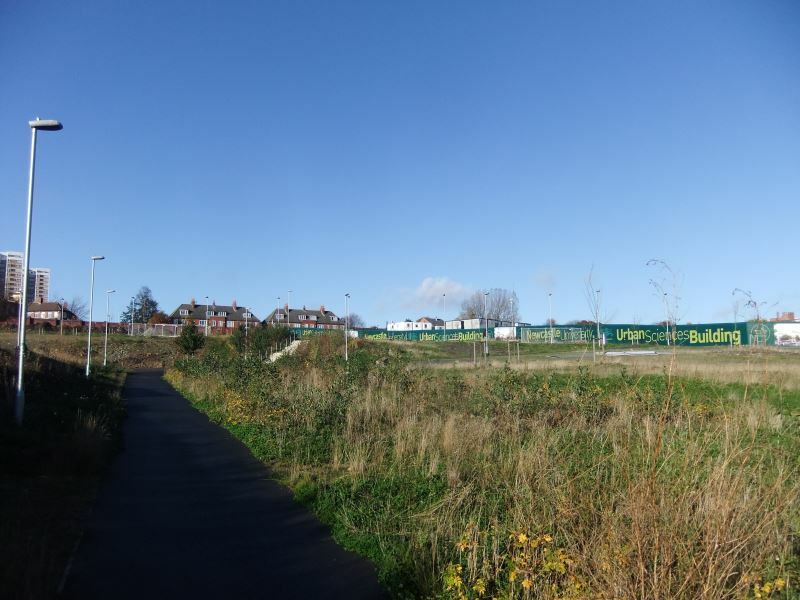 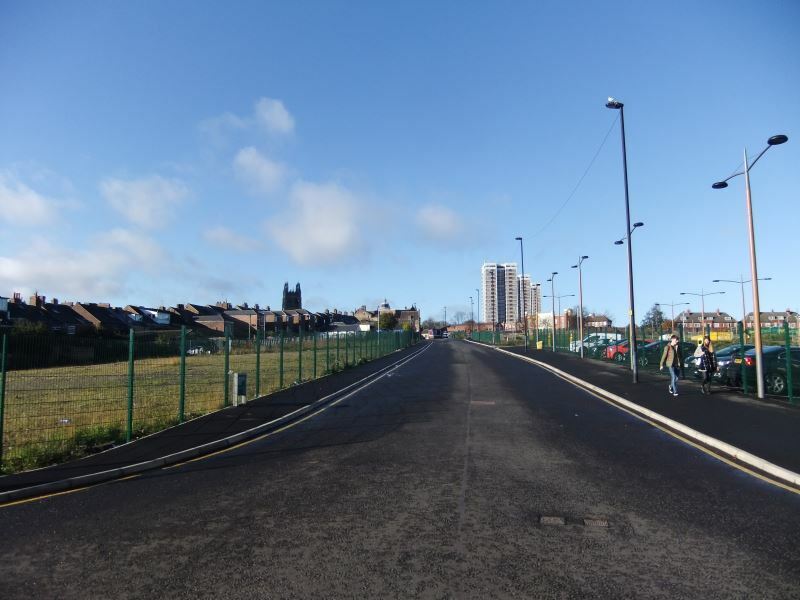 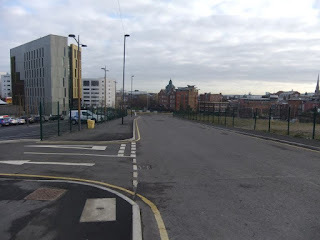 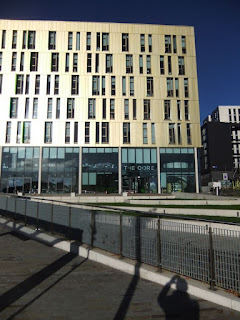 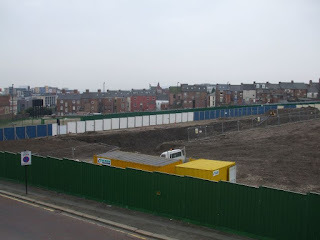 The site is largely the site of the old Scottish and Newcastle Breweries. 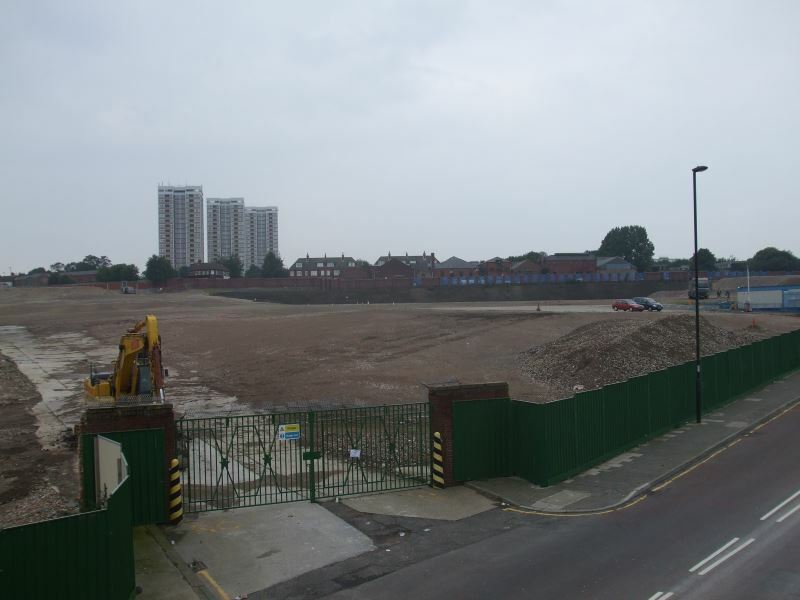 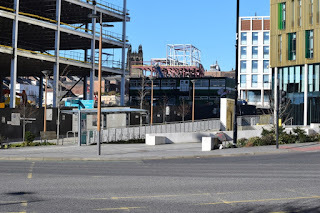 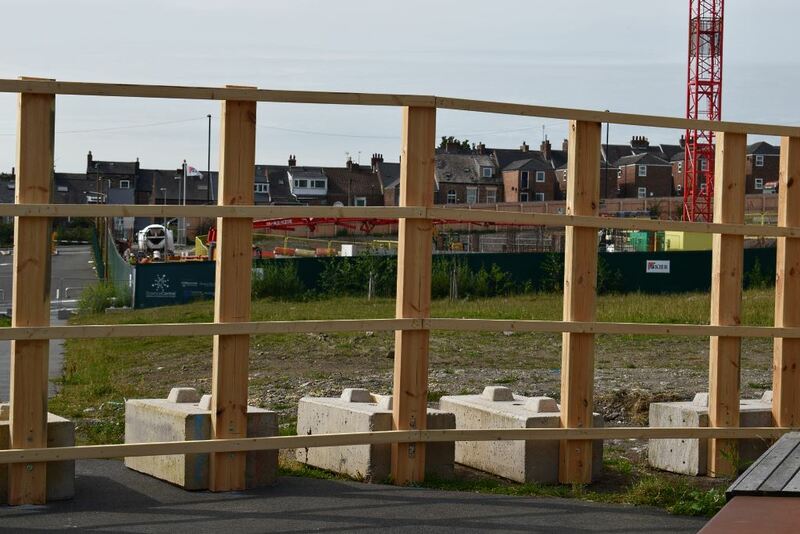 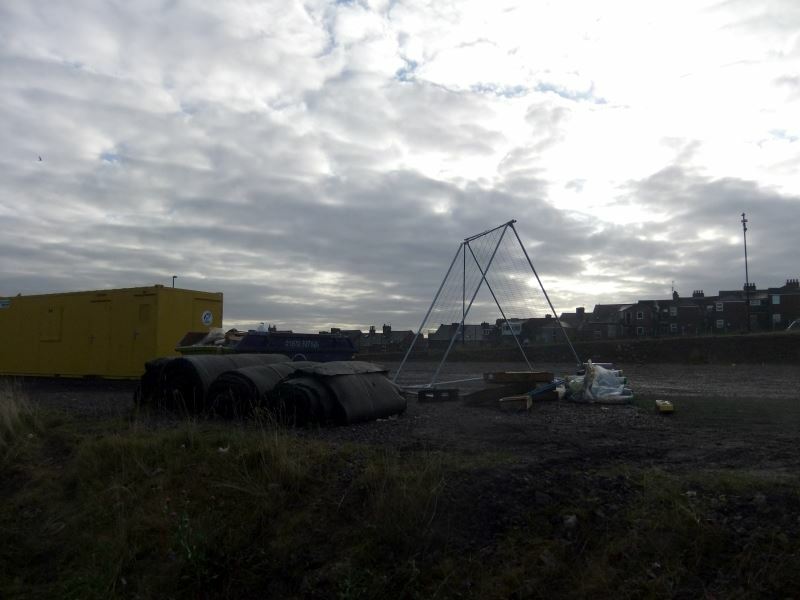 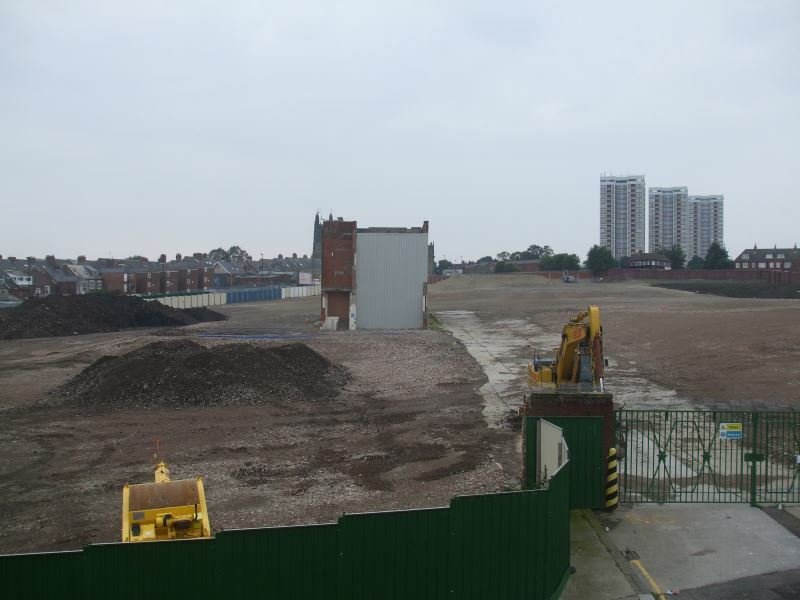 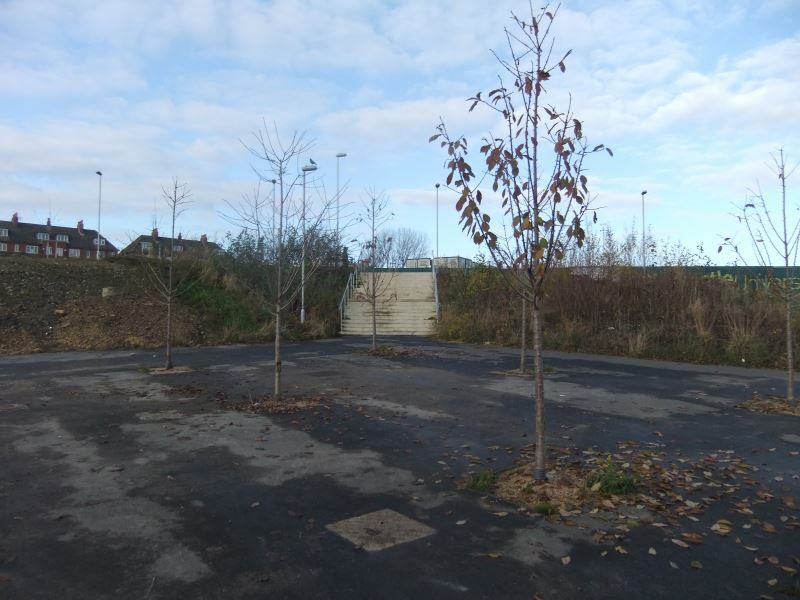 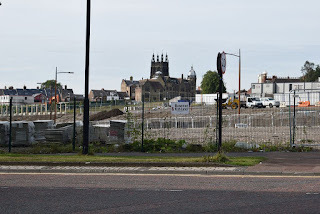 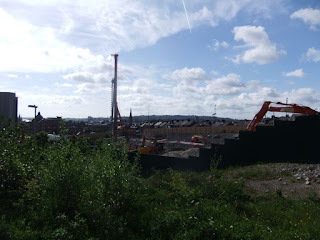 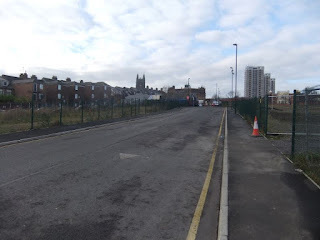 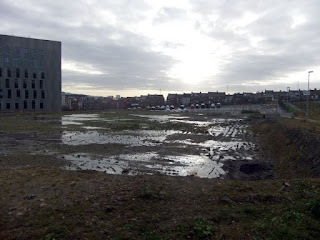 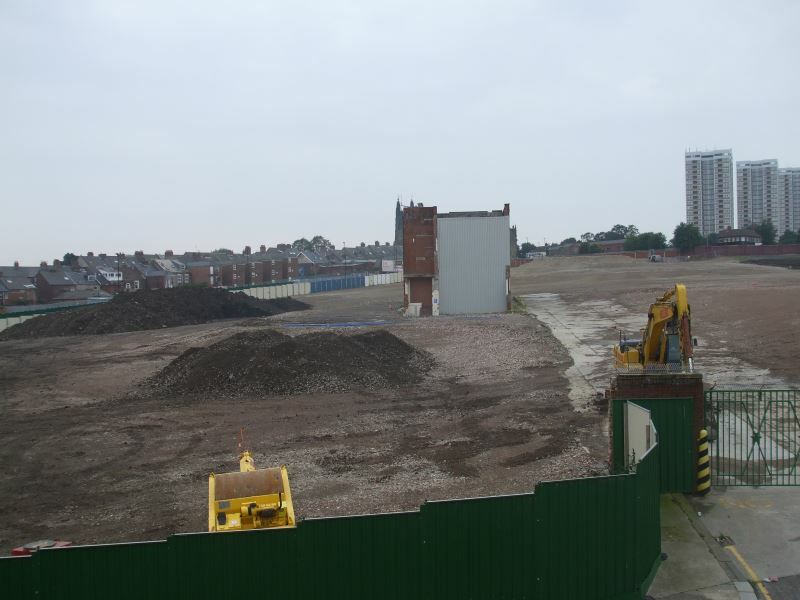 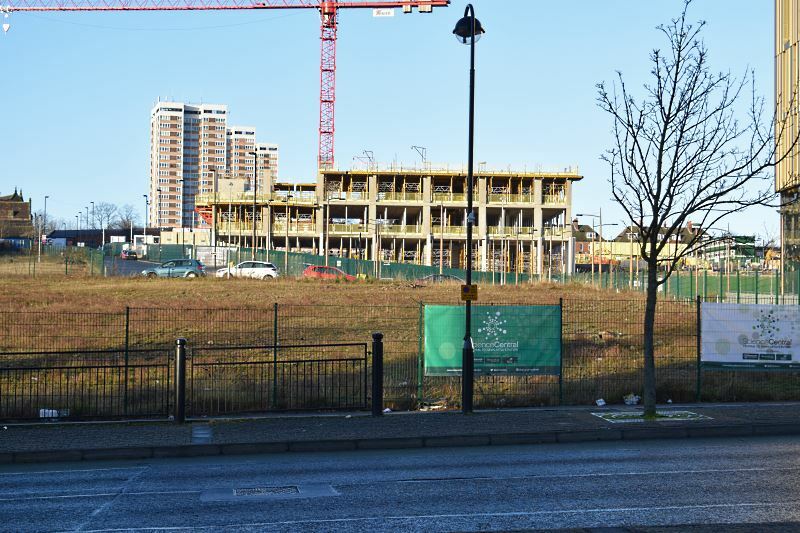 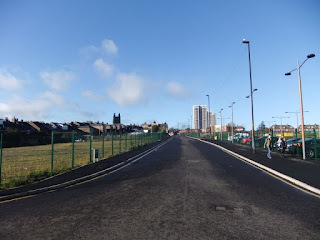 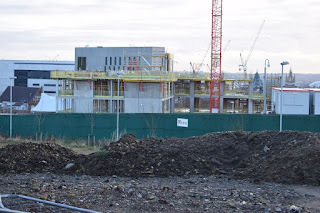 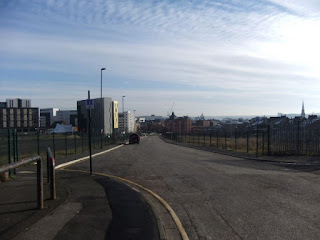 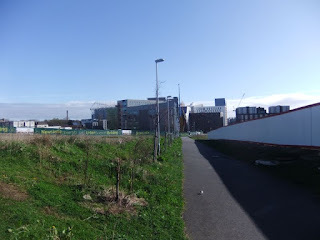 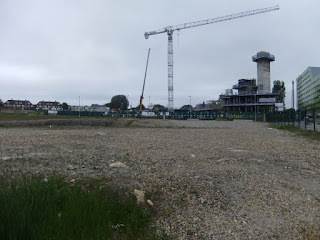 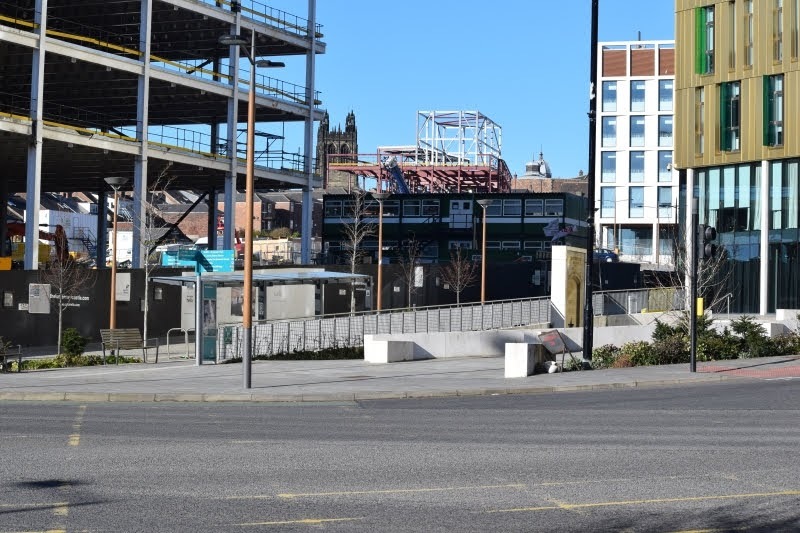 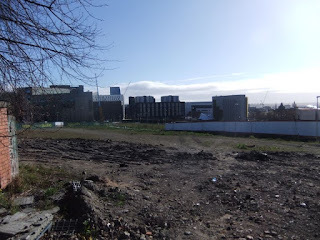 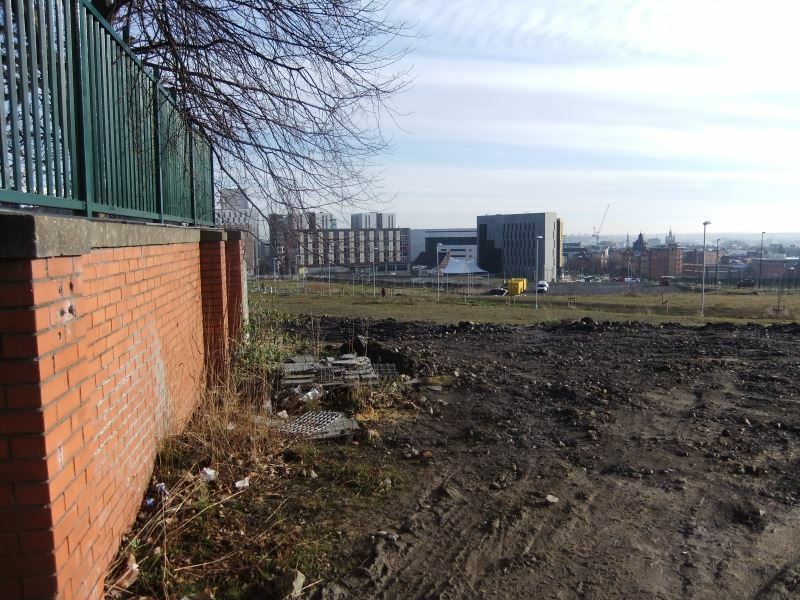 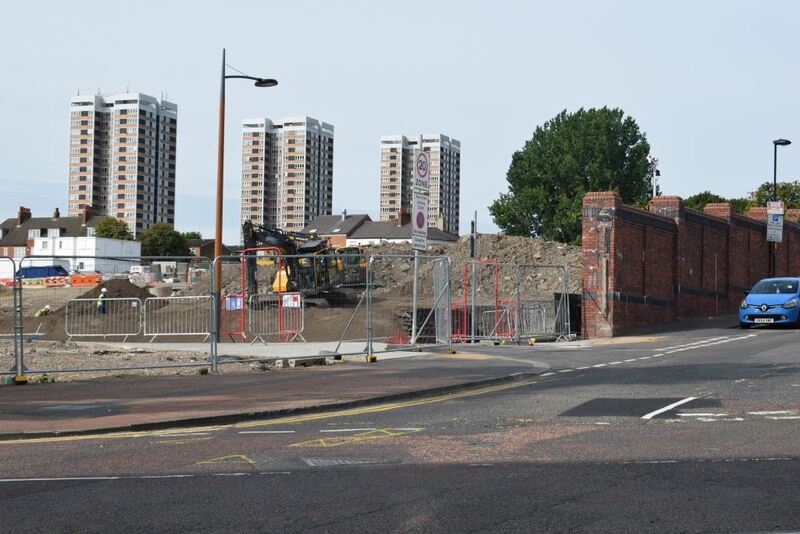 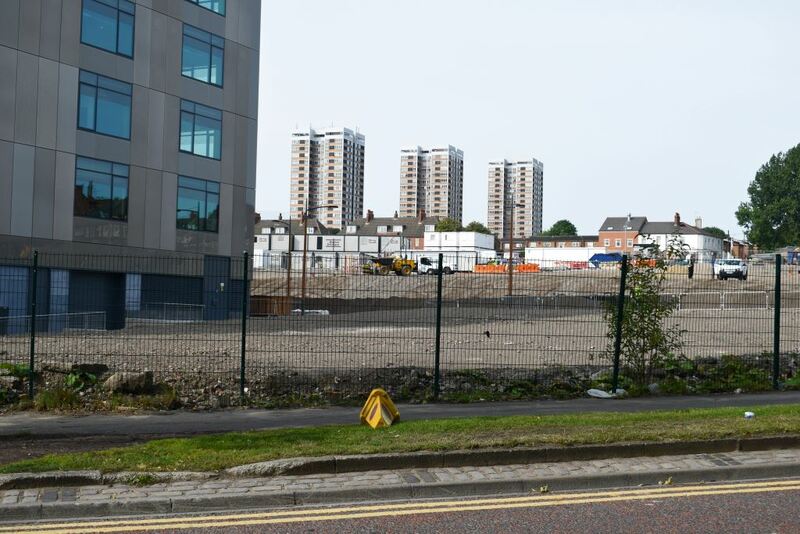 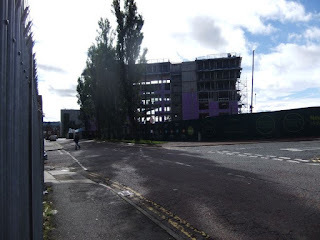 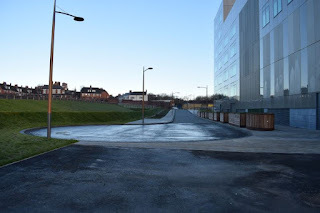 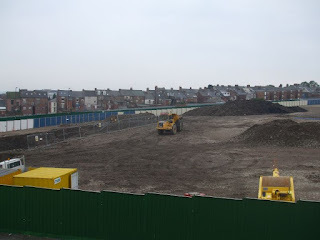 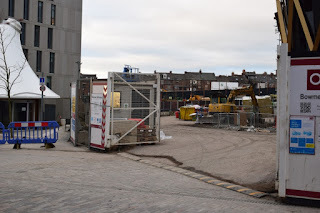 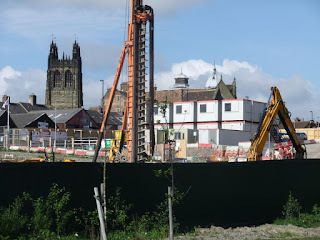 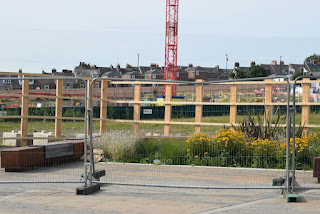 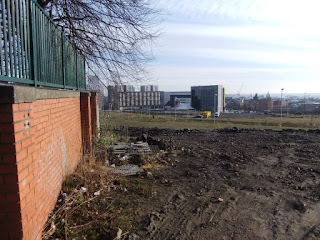 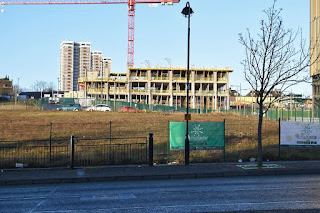 Photos of the breweries site including demolition have been previously posted here Scottish & Newcastle Breweries. 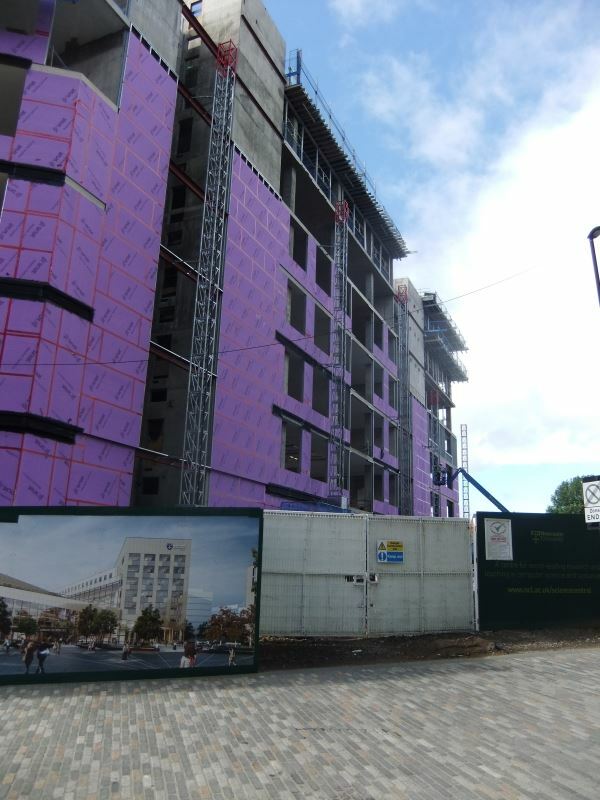 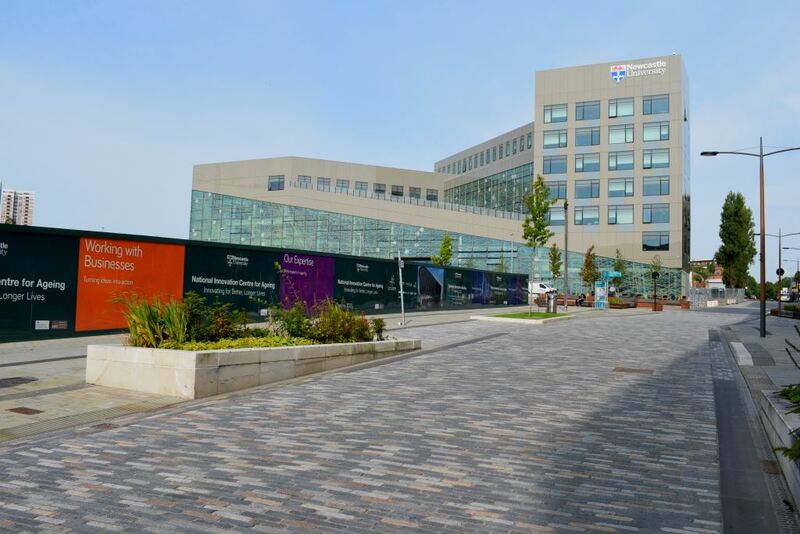 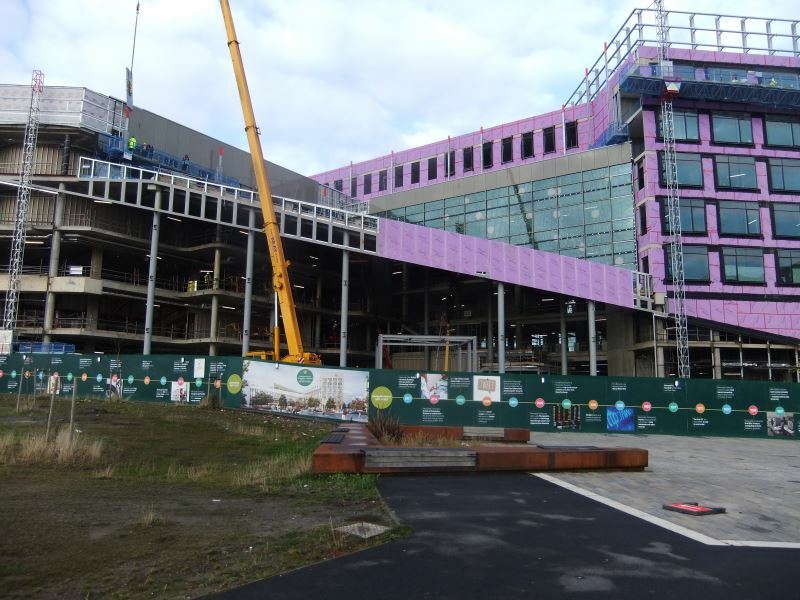 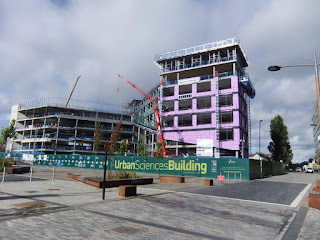 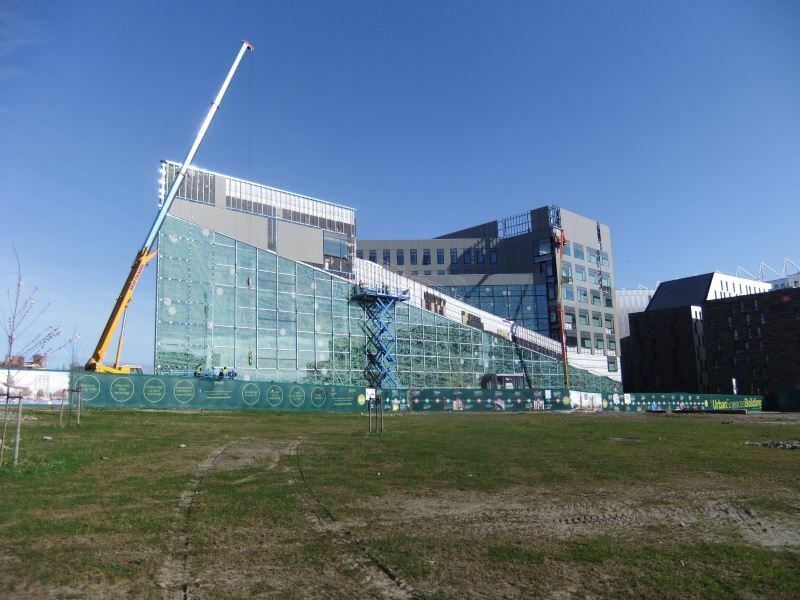 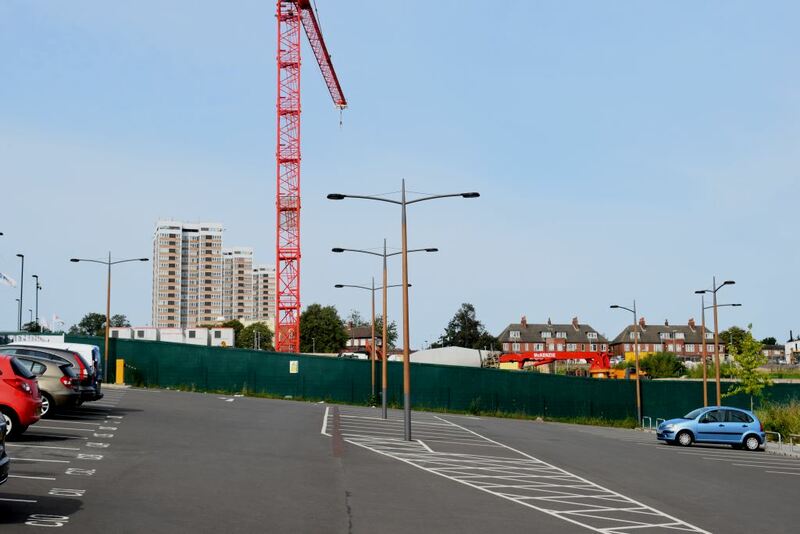 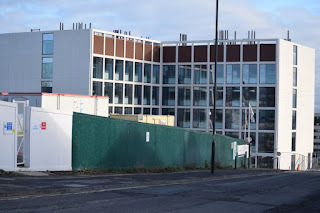 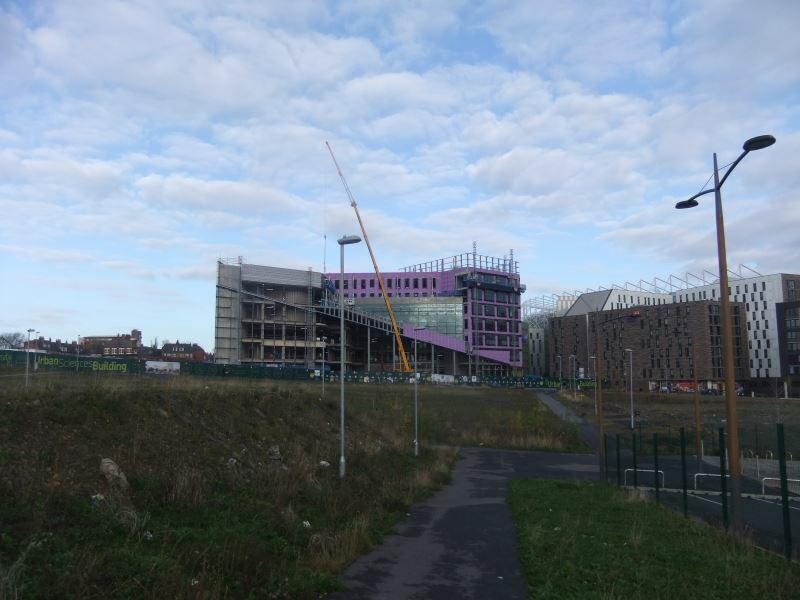 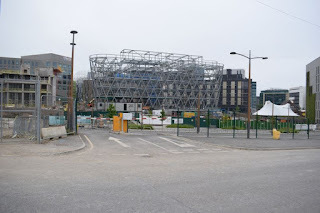 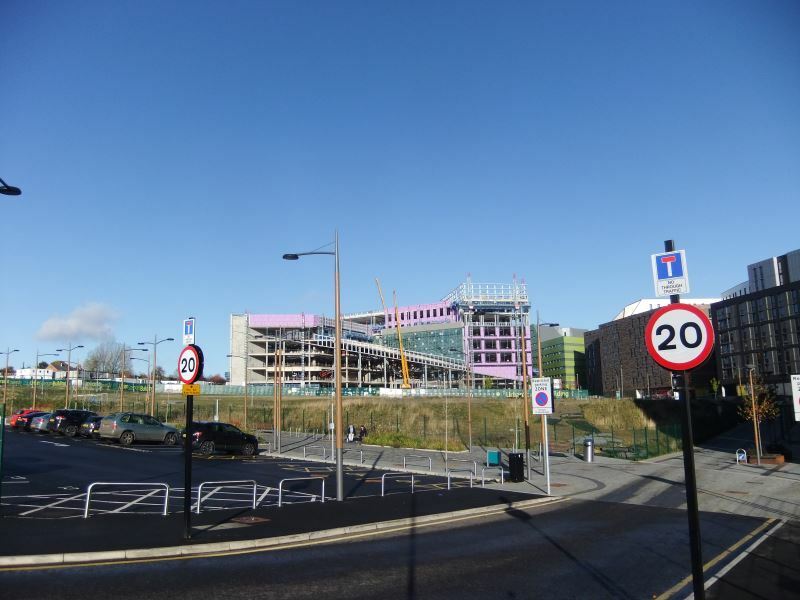 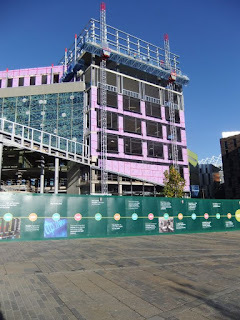 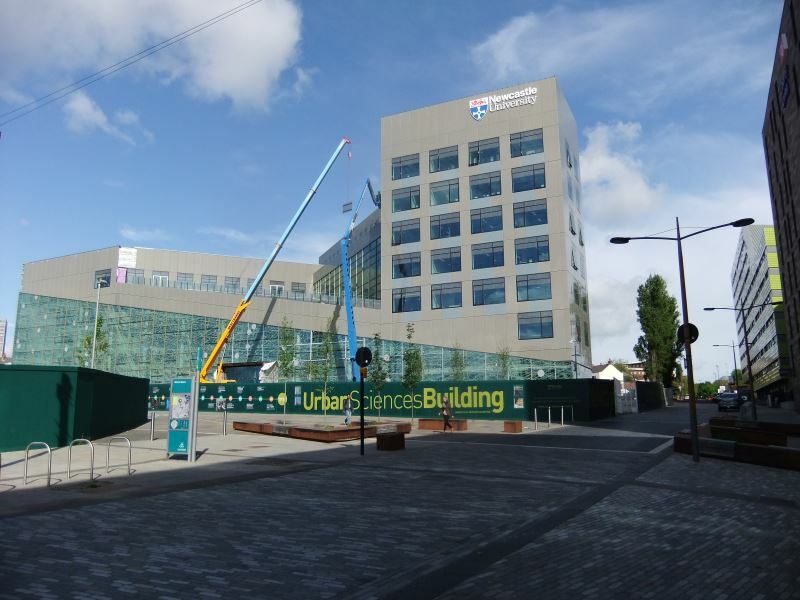 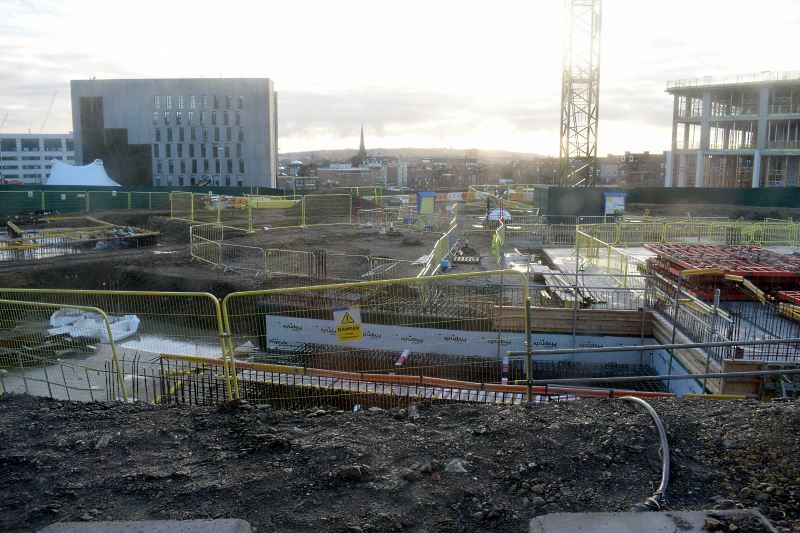 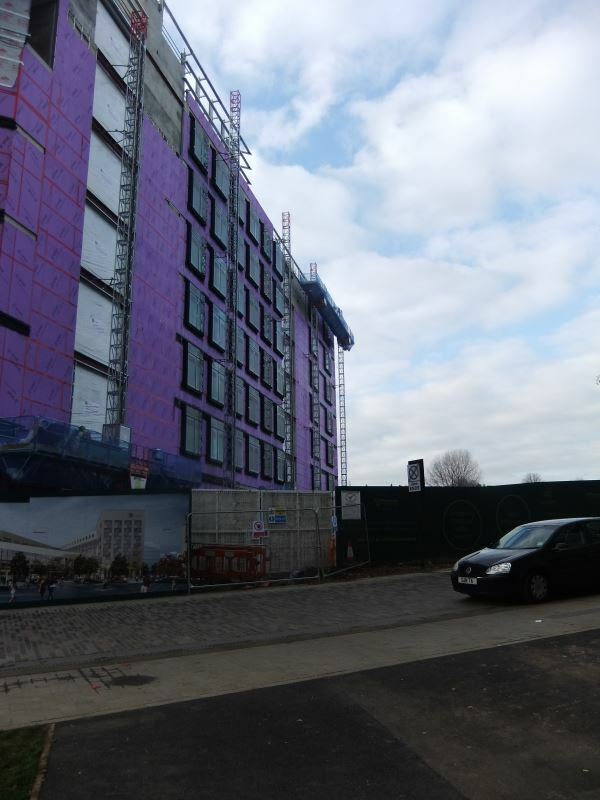 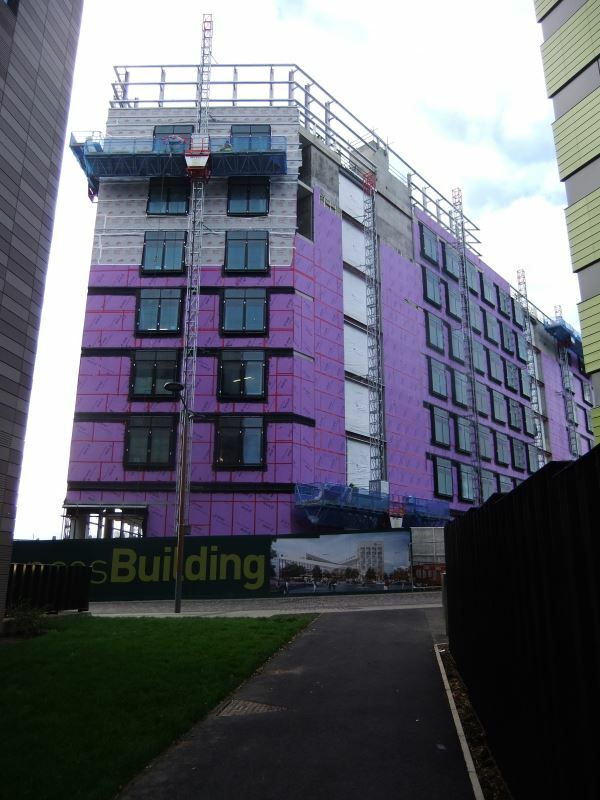 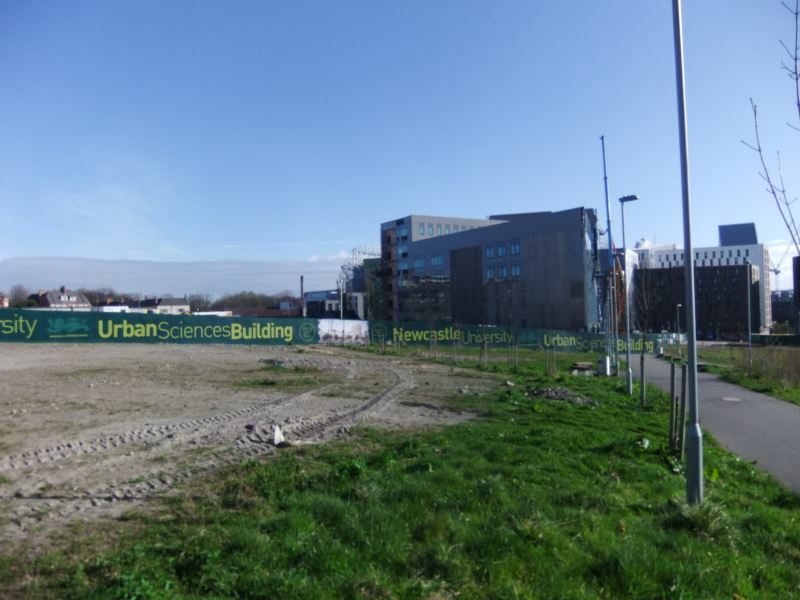 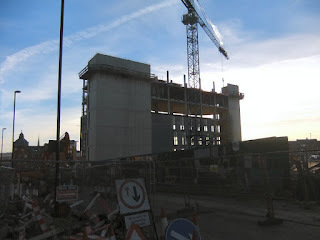 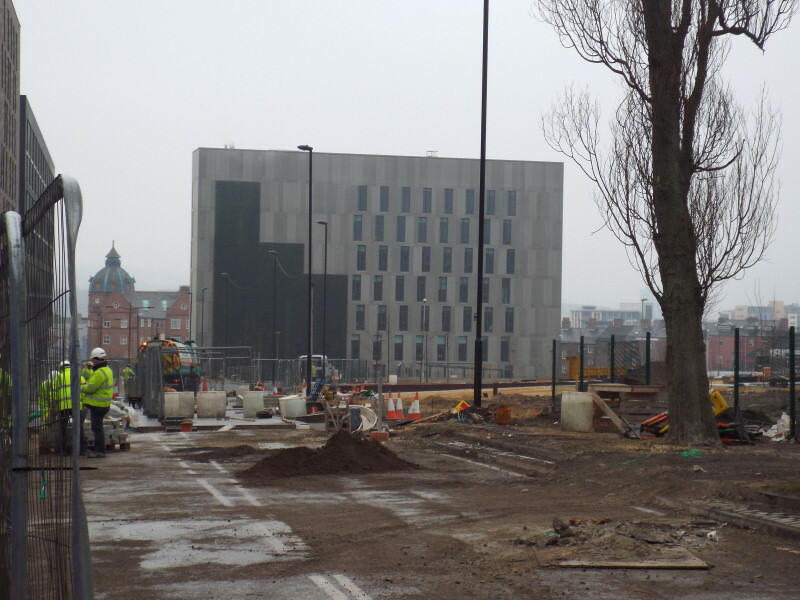 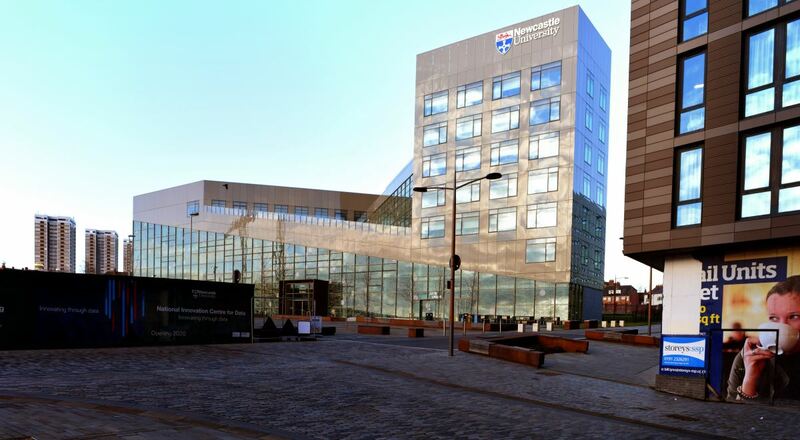 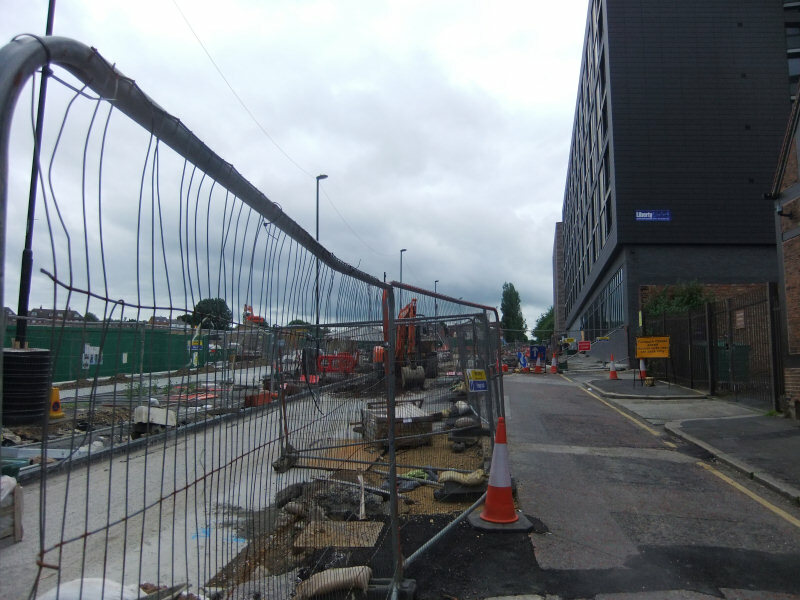 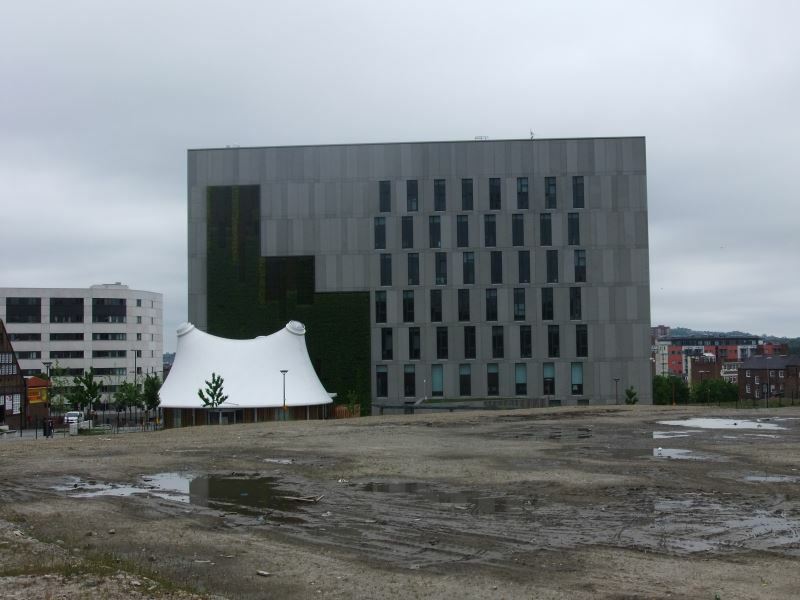 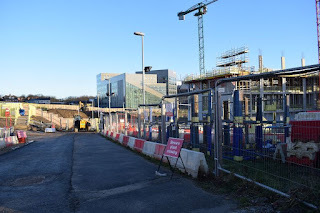 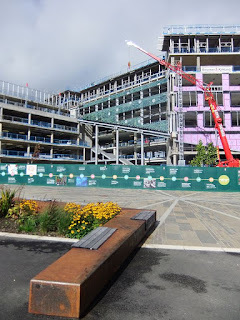 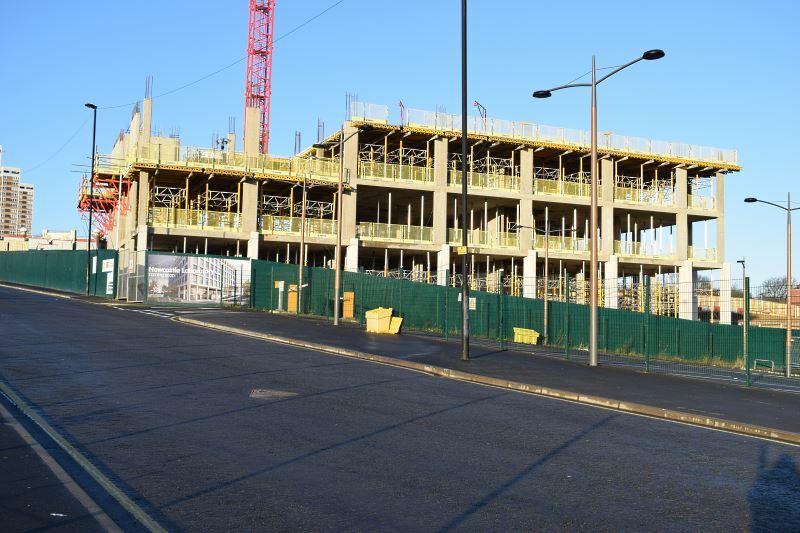 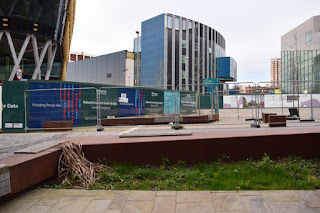 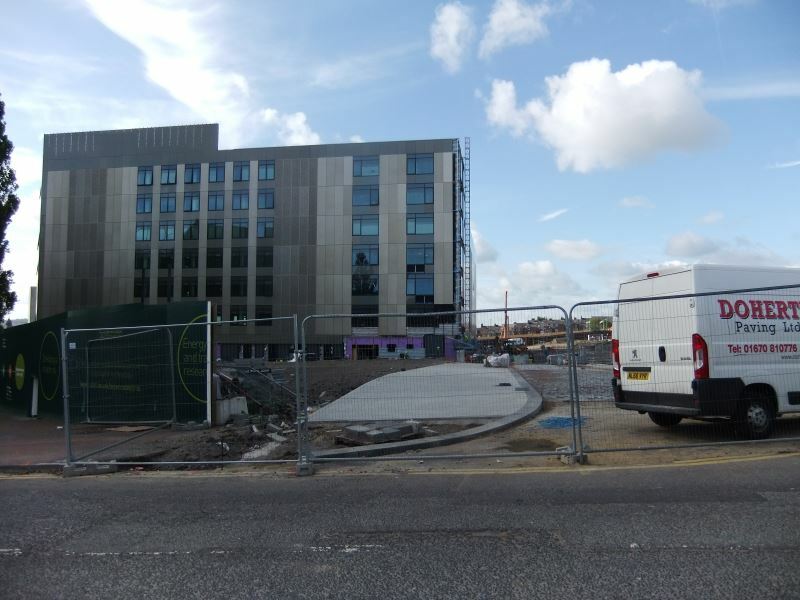 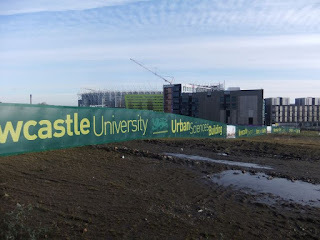 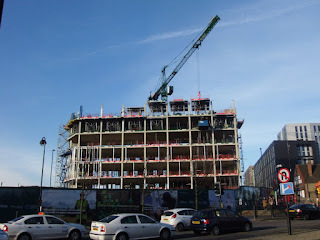 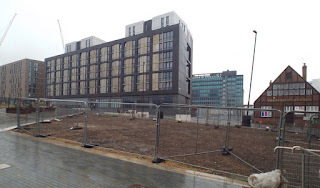 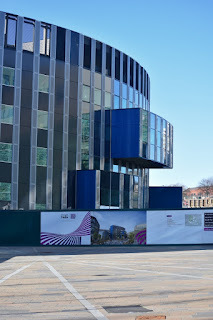 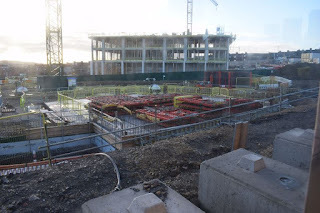 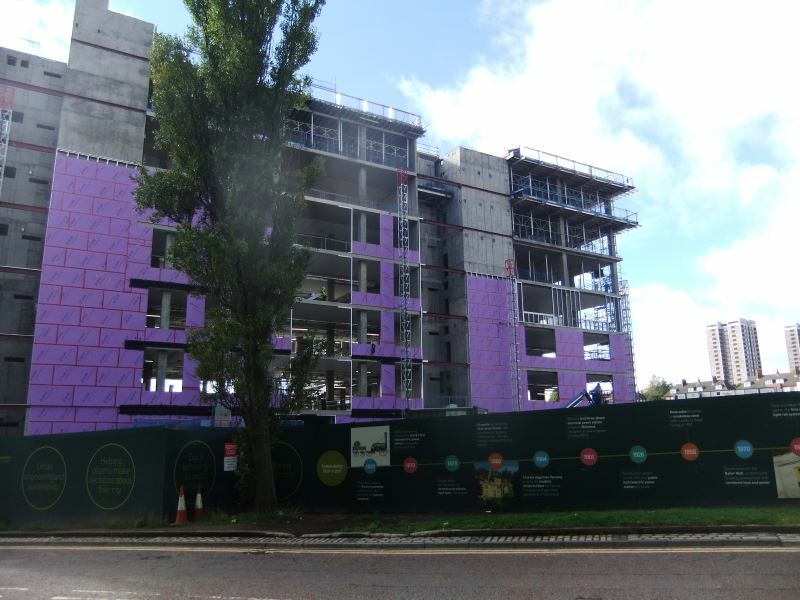 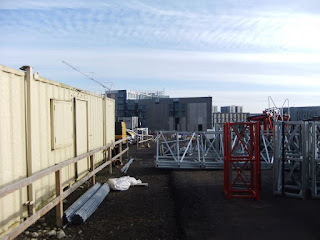 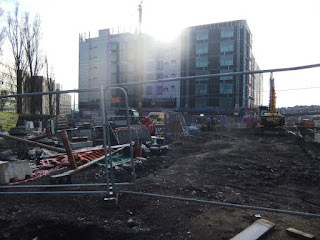 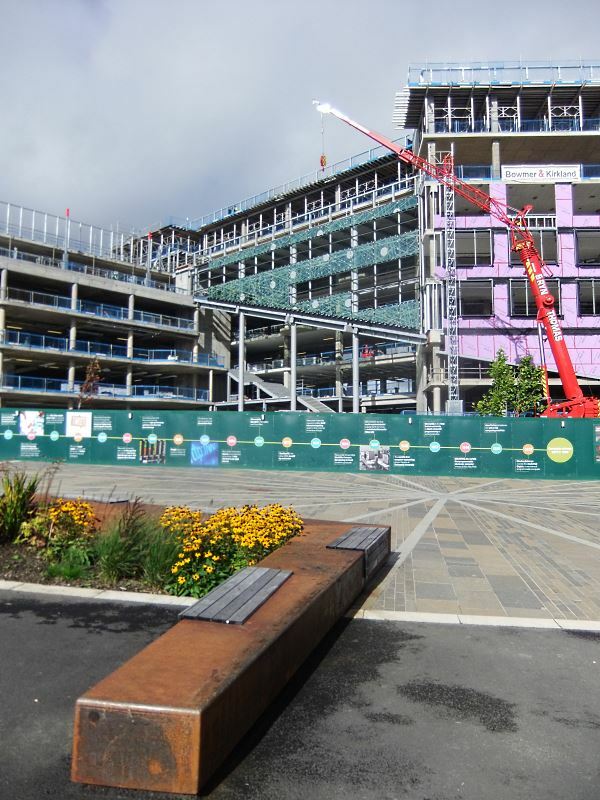 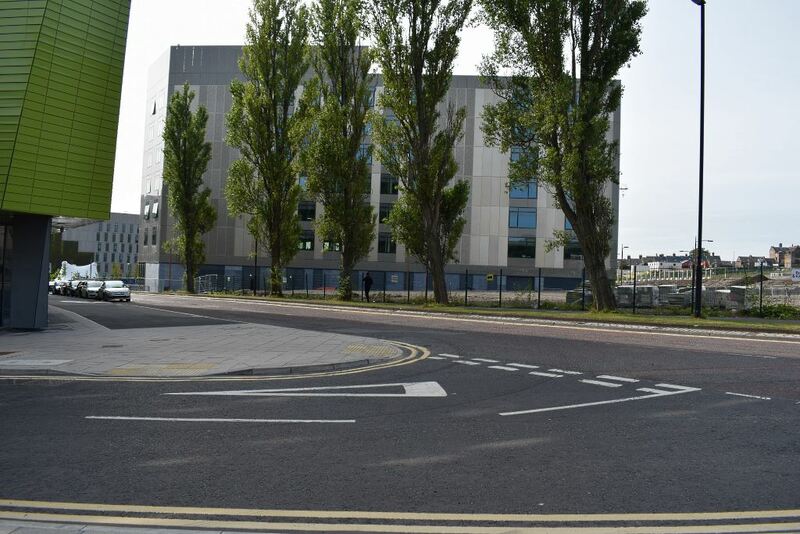 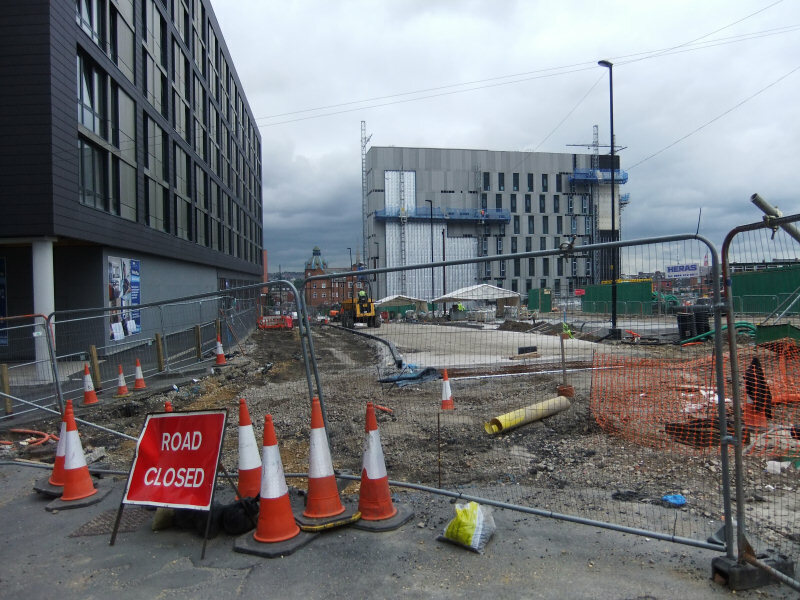 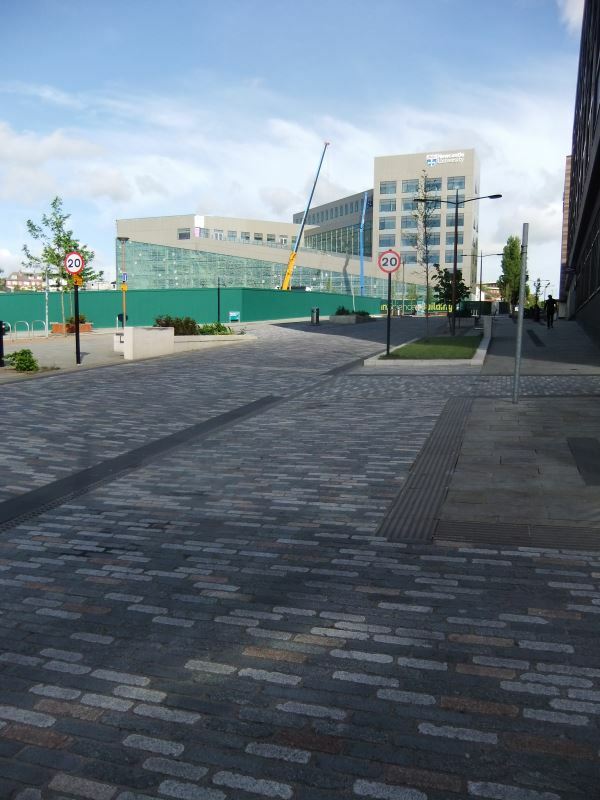 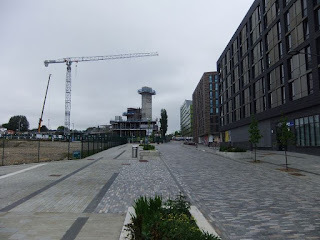 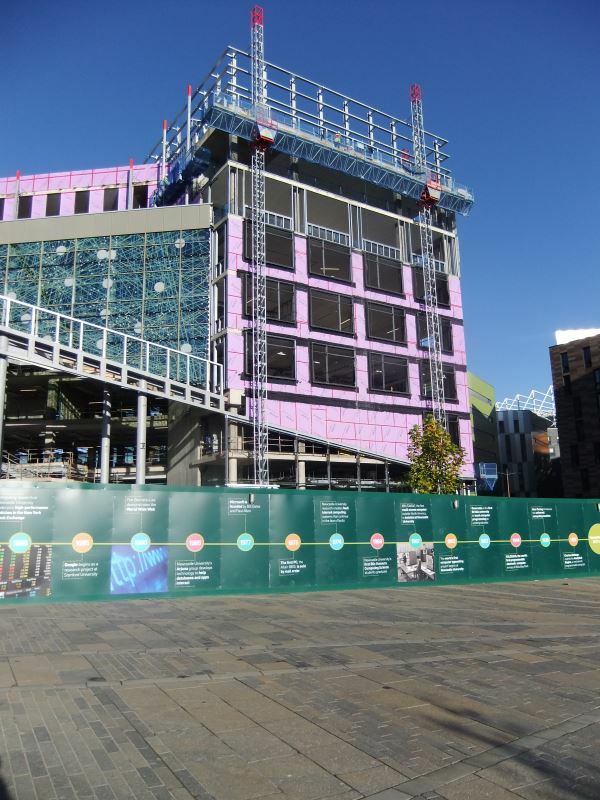 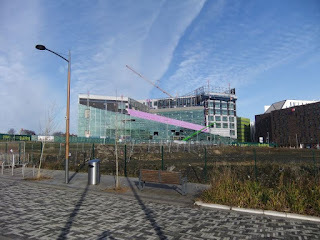 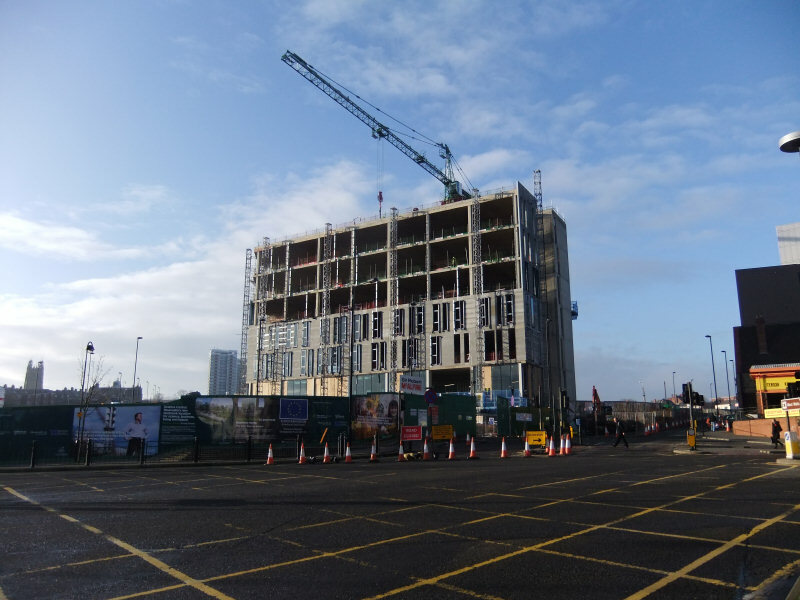 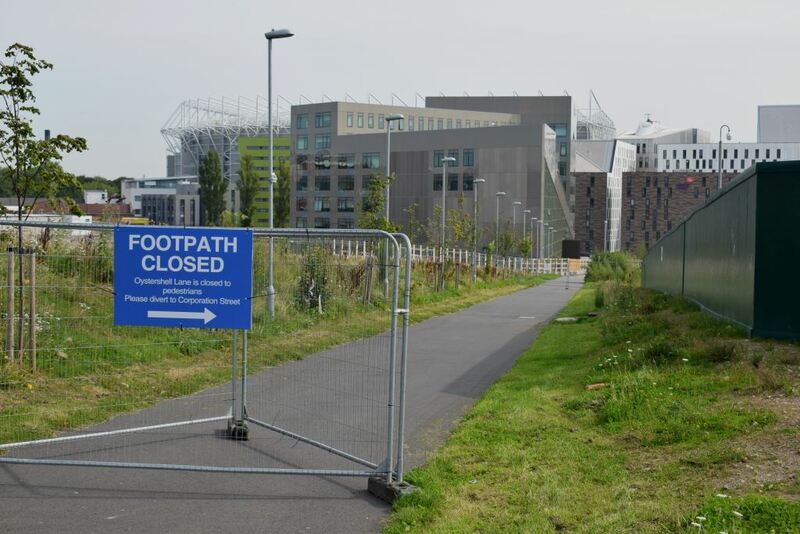 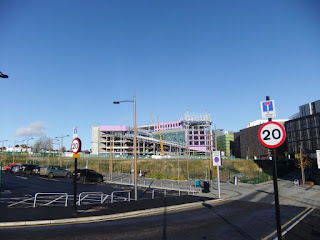 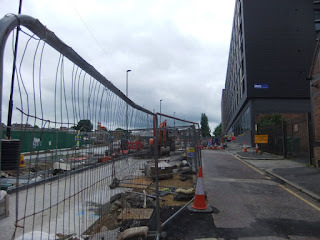 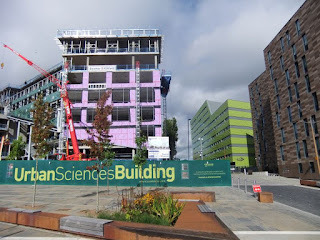 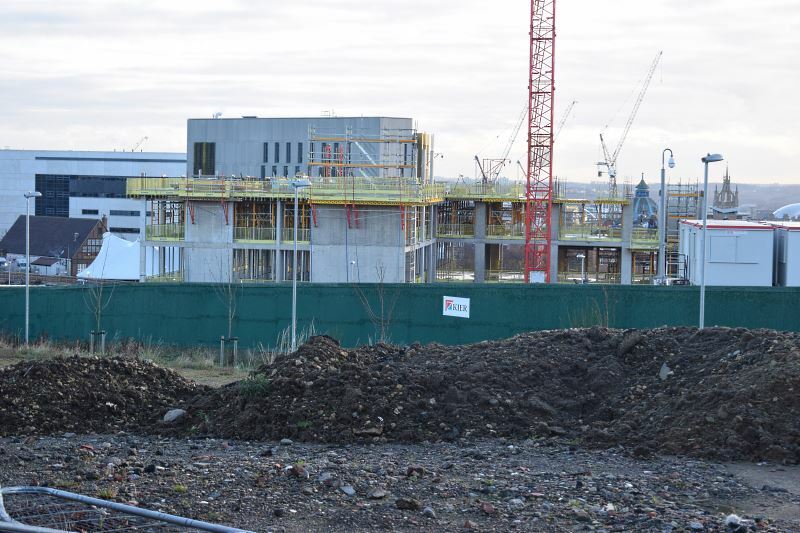 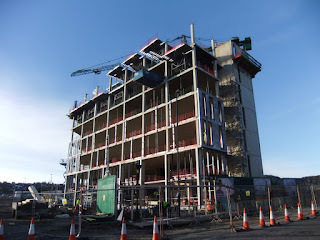 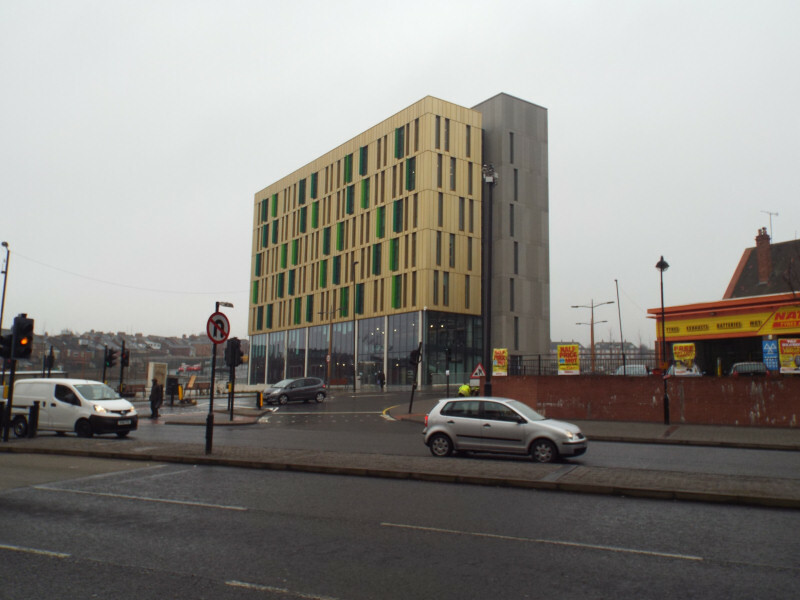 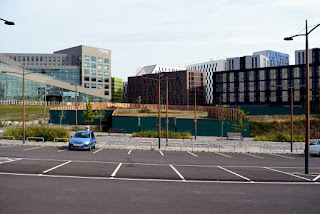 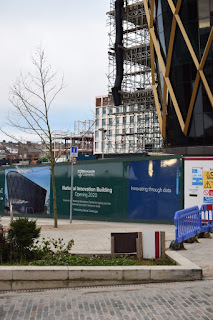 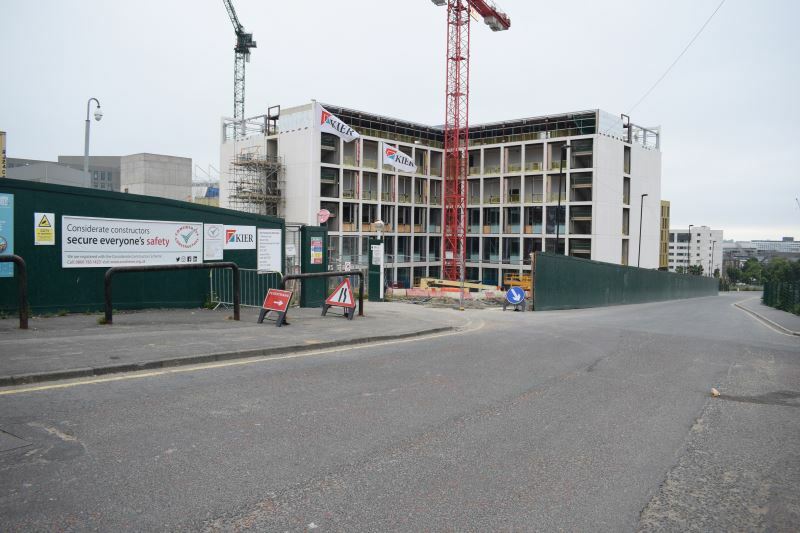 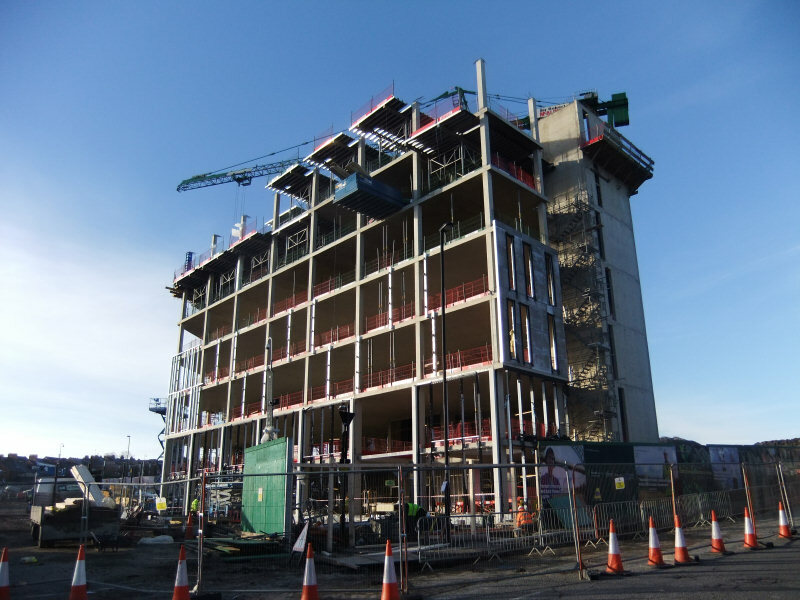 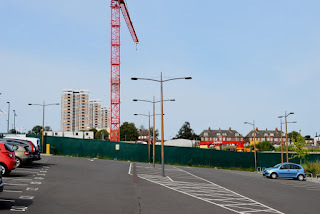 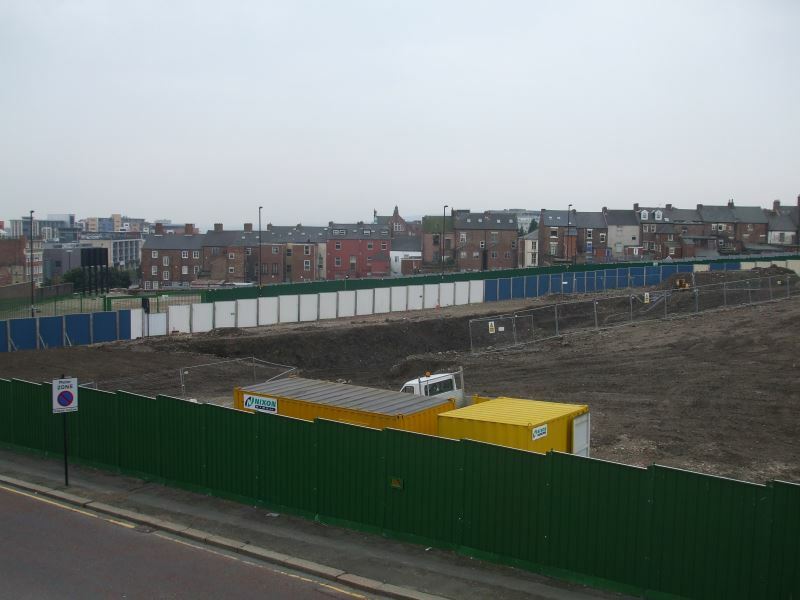 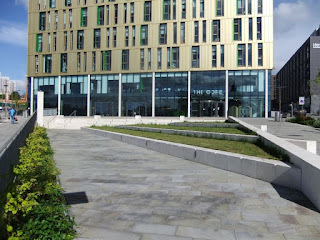 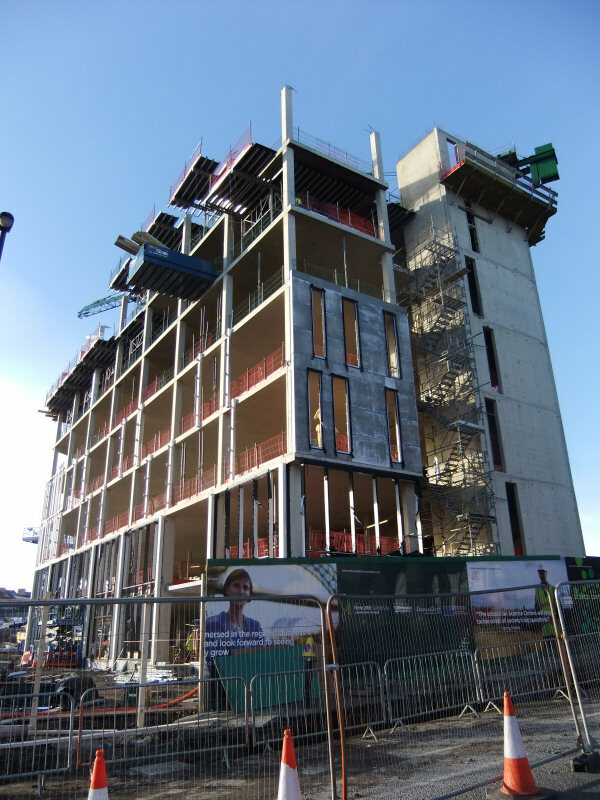 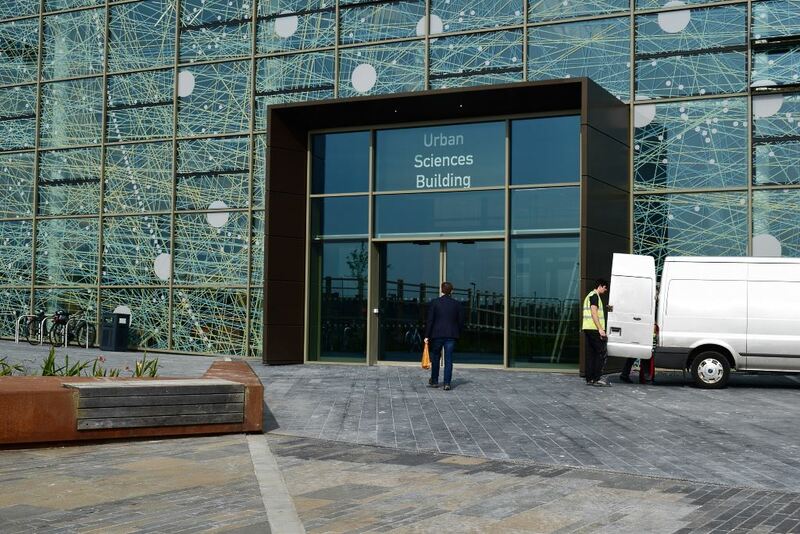 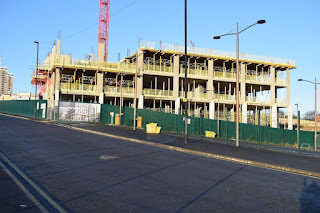 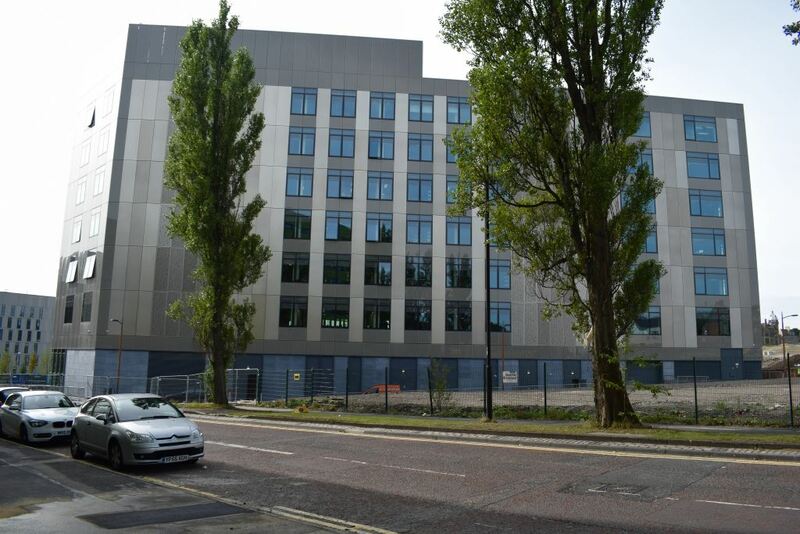 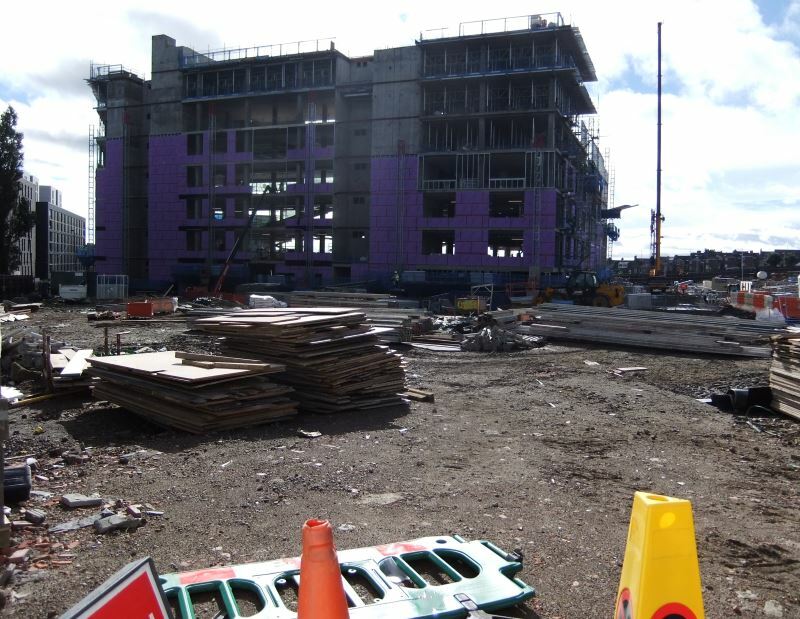 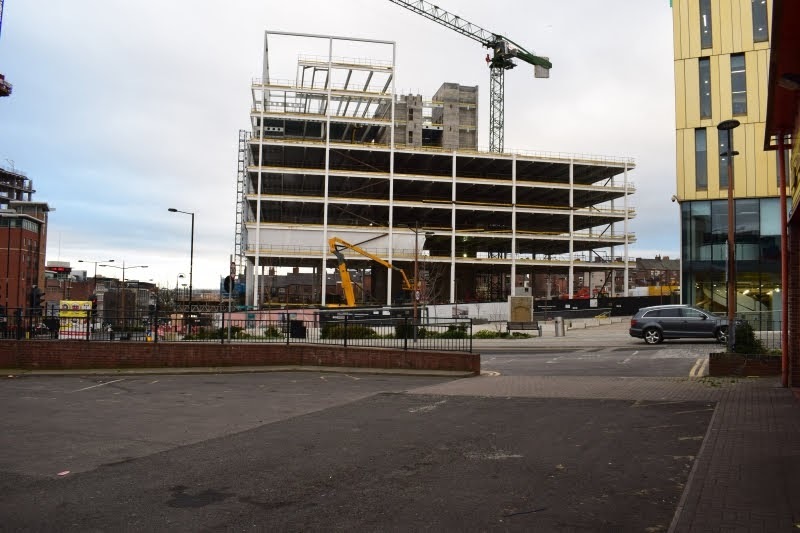 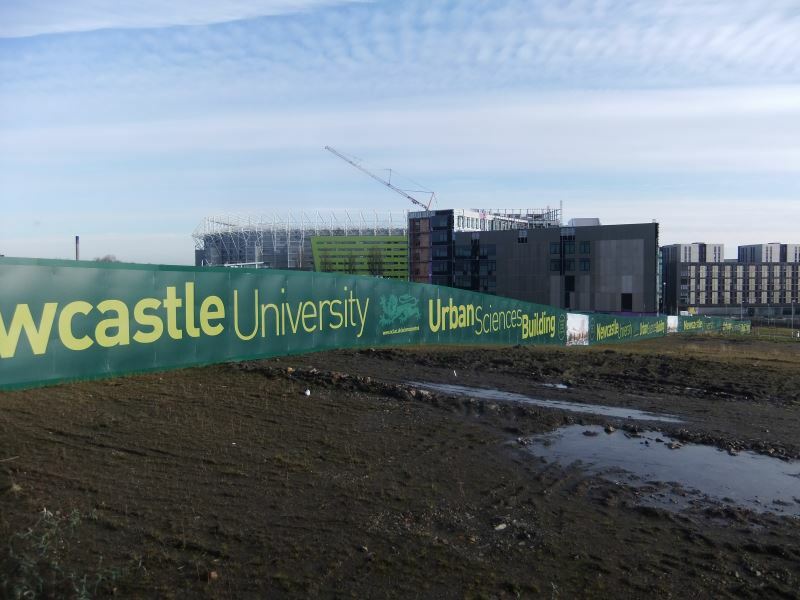 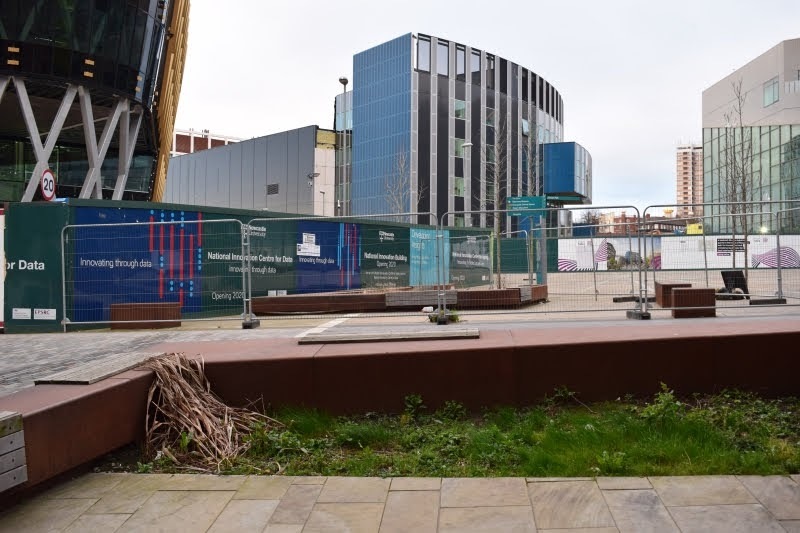 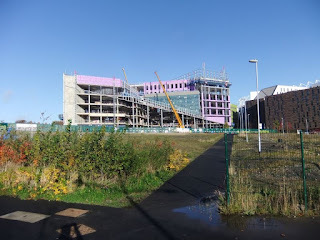 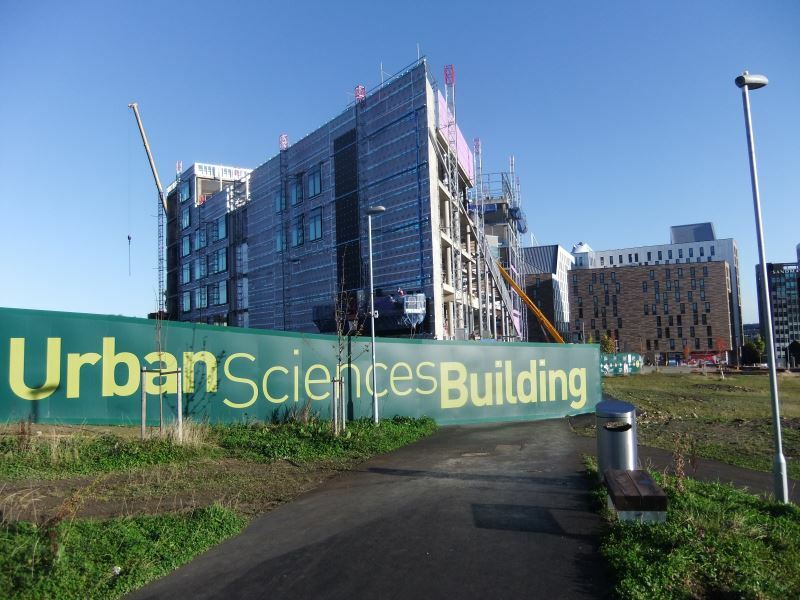 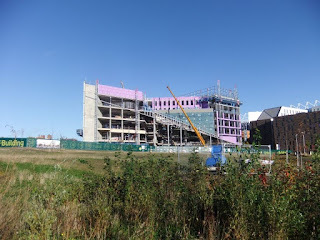 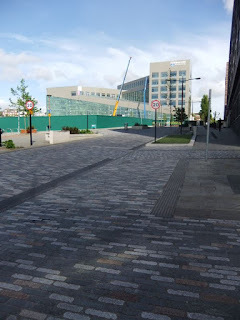 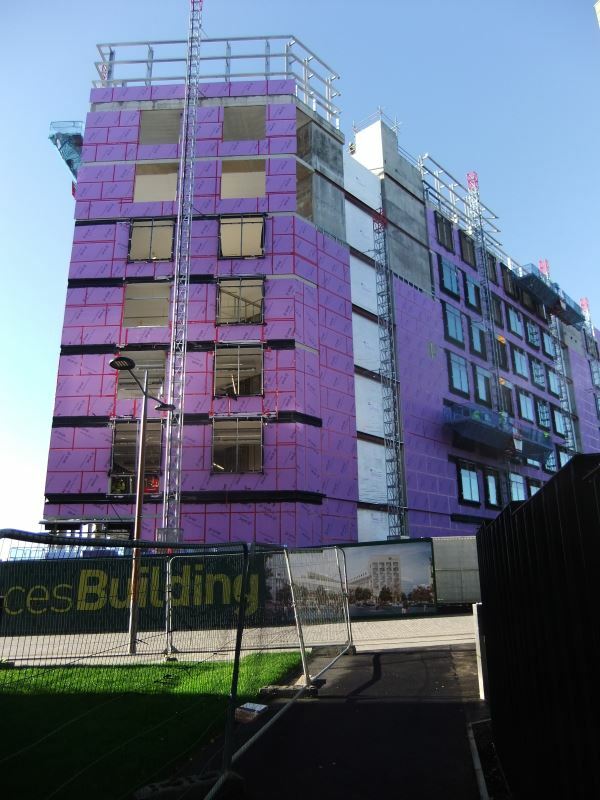 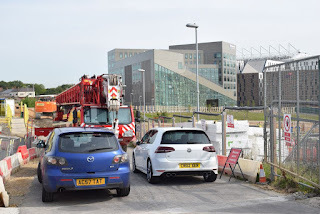 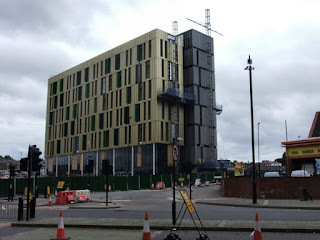 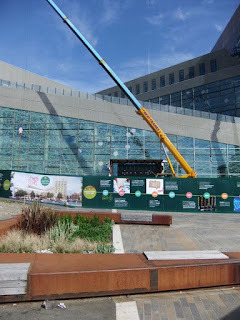 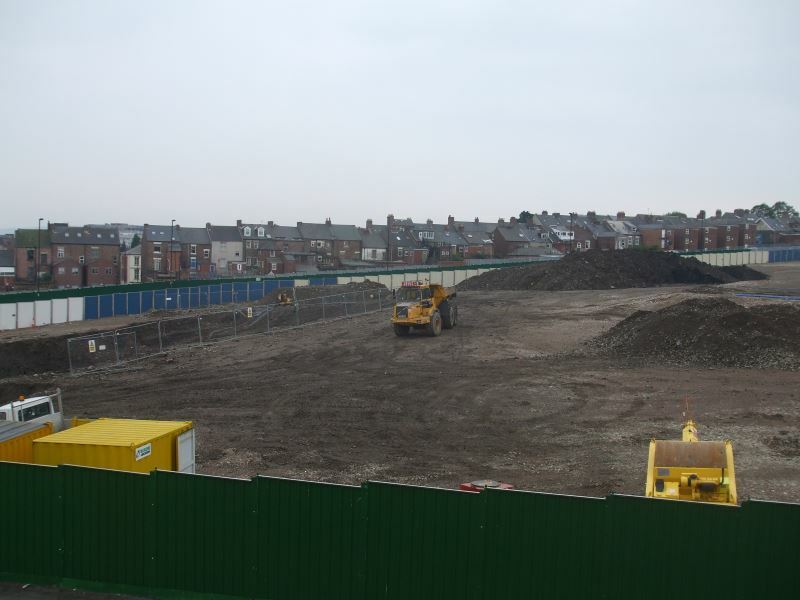 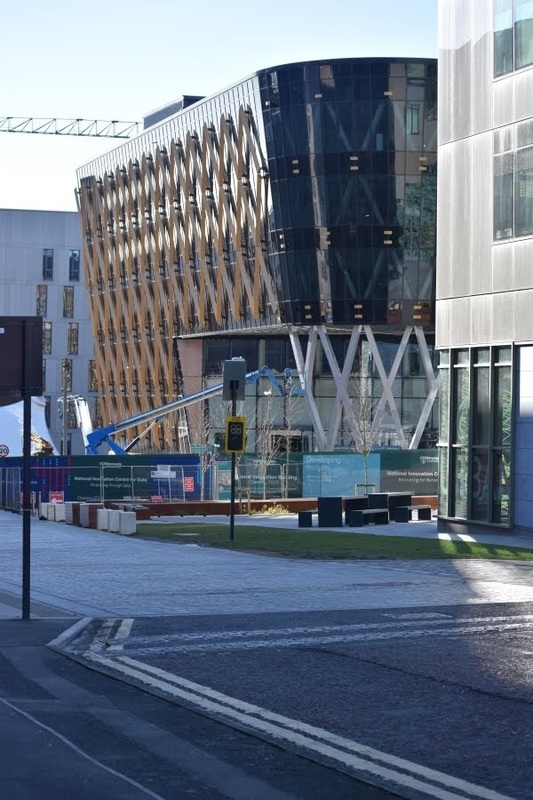 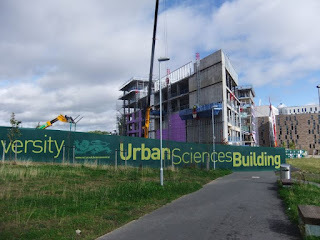 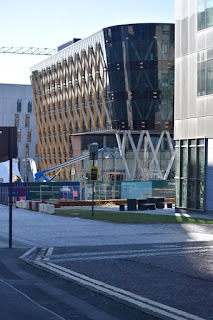 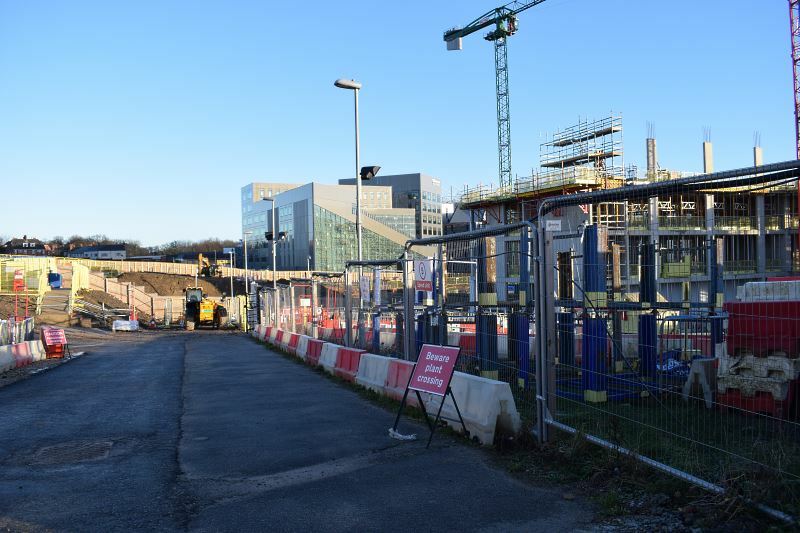 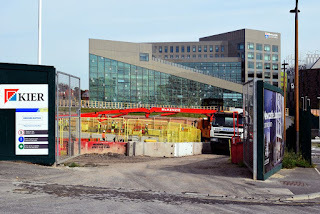 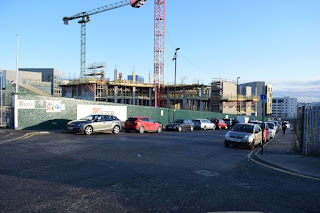 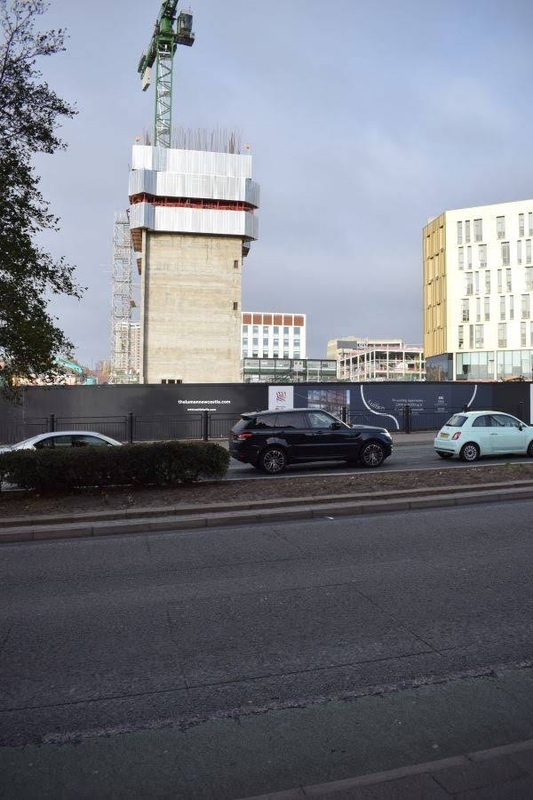 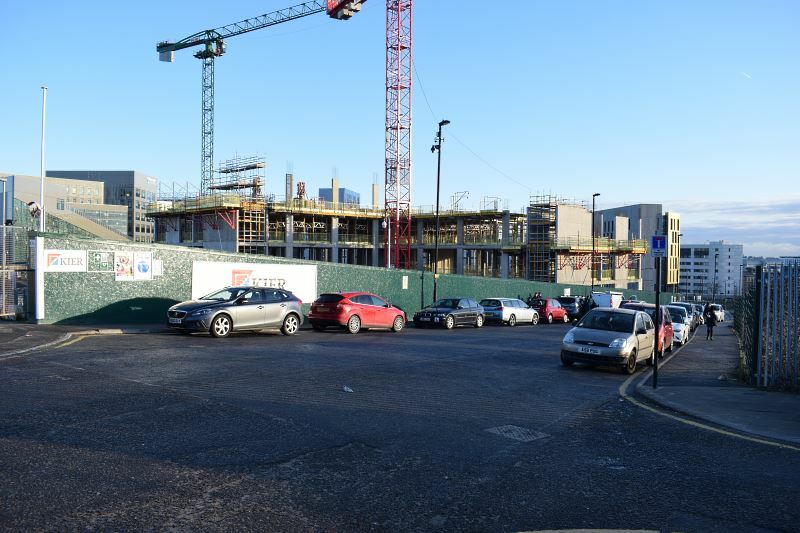 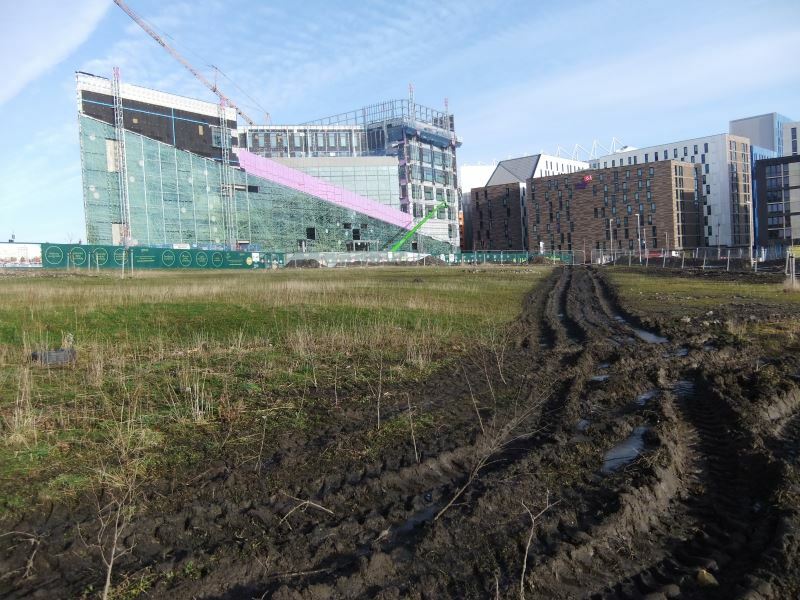 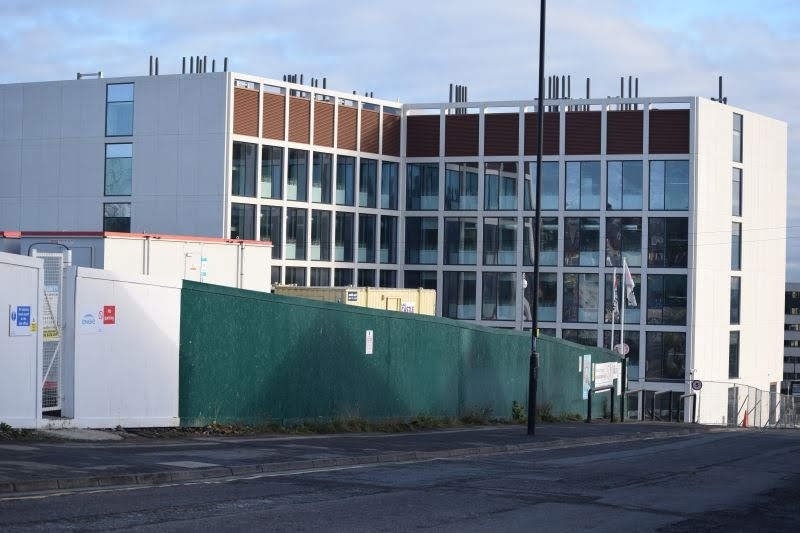 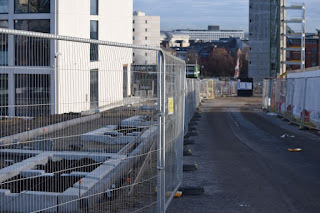 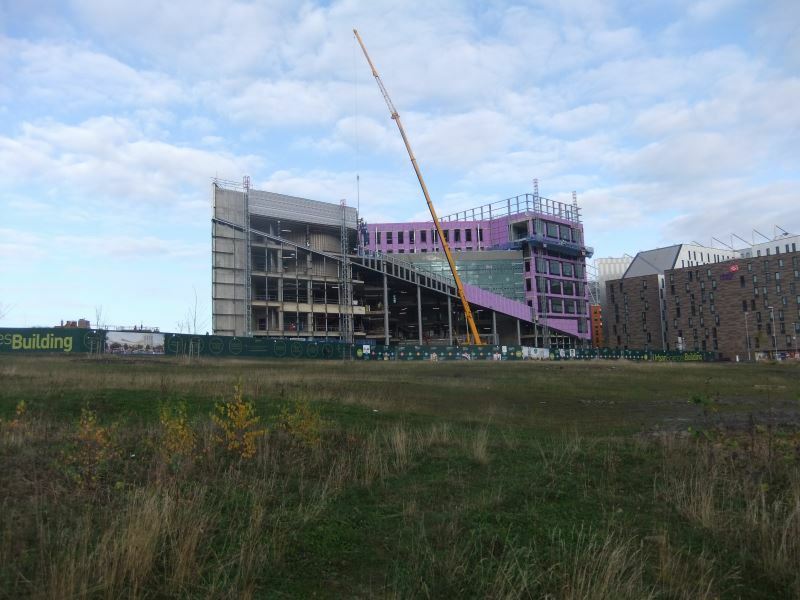 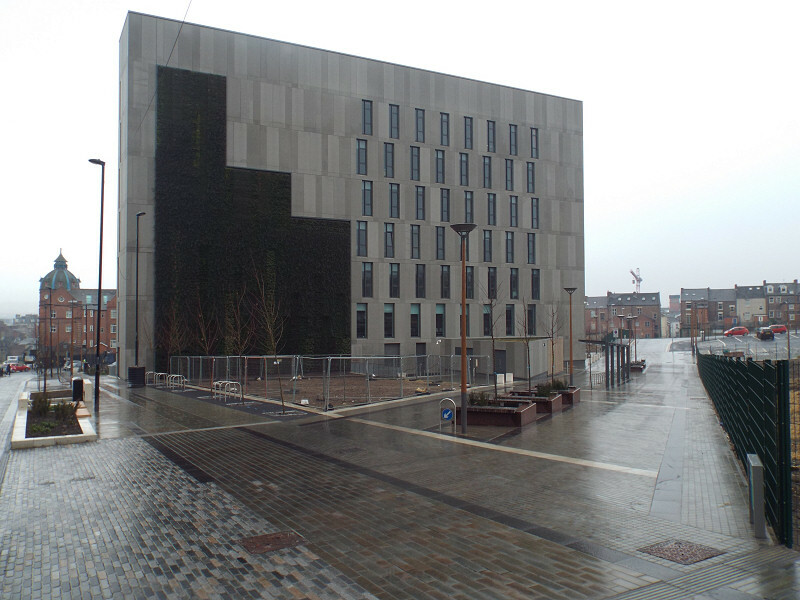 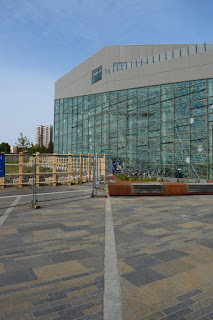 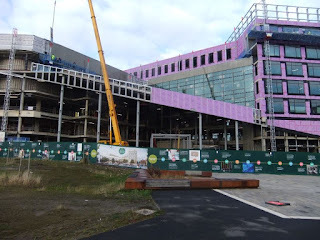 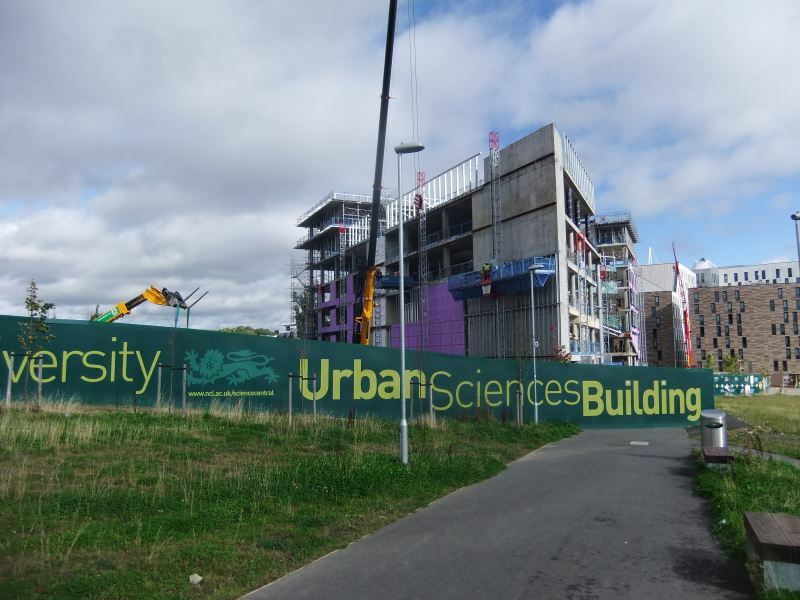 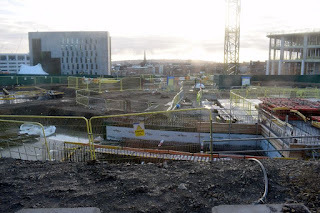 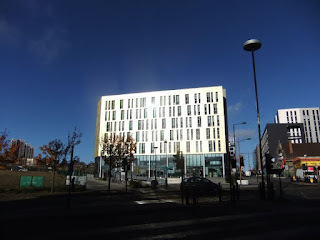 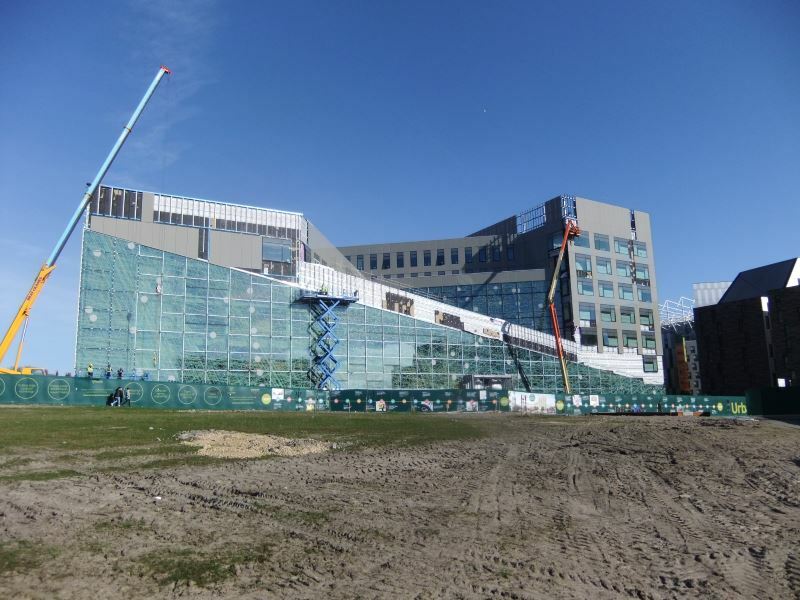 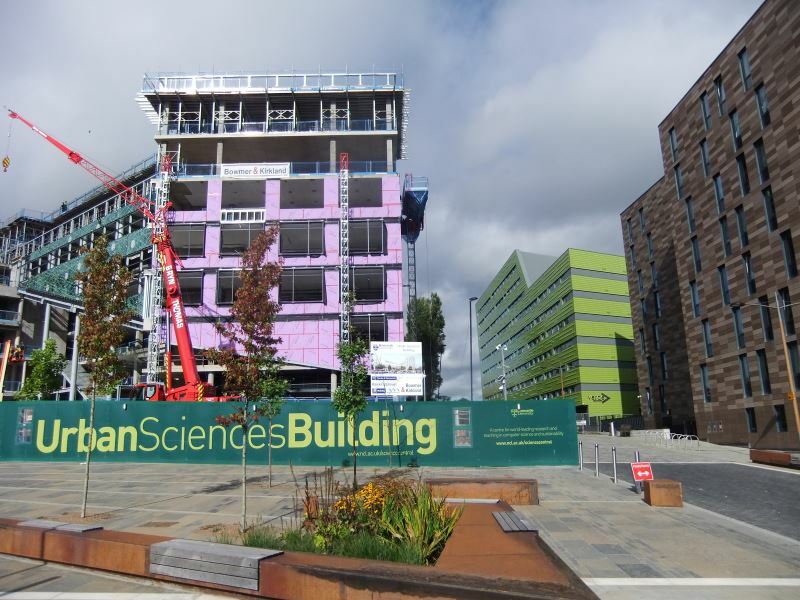 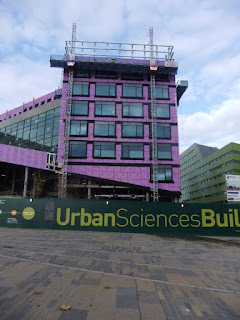 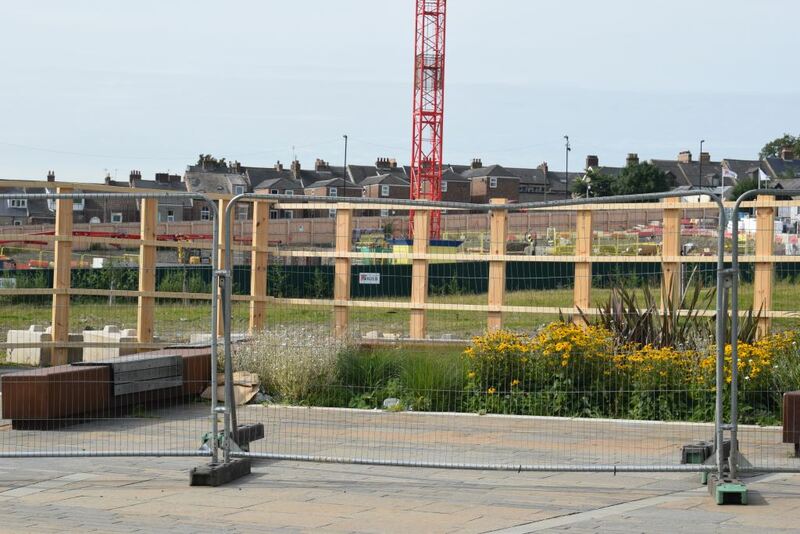 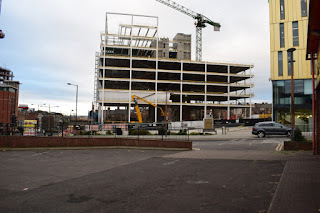 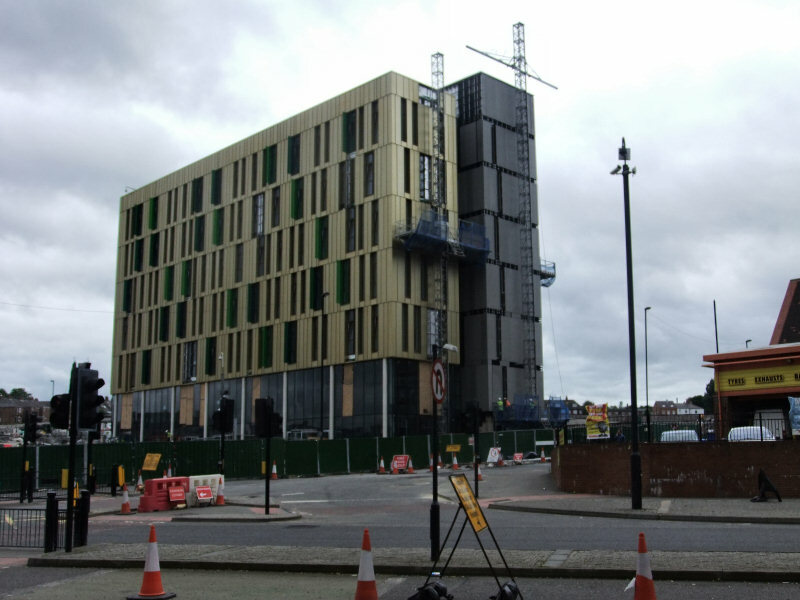 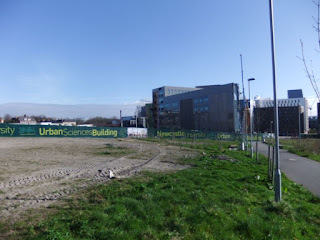 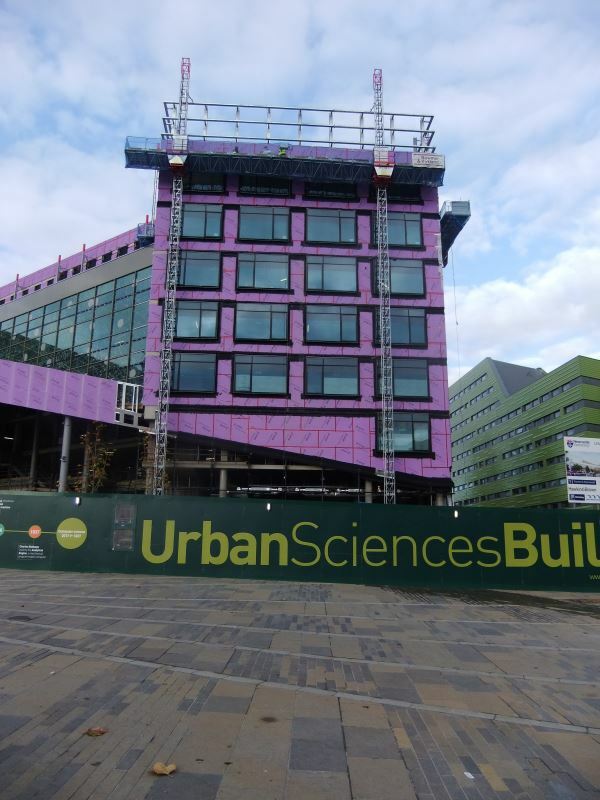 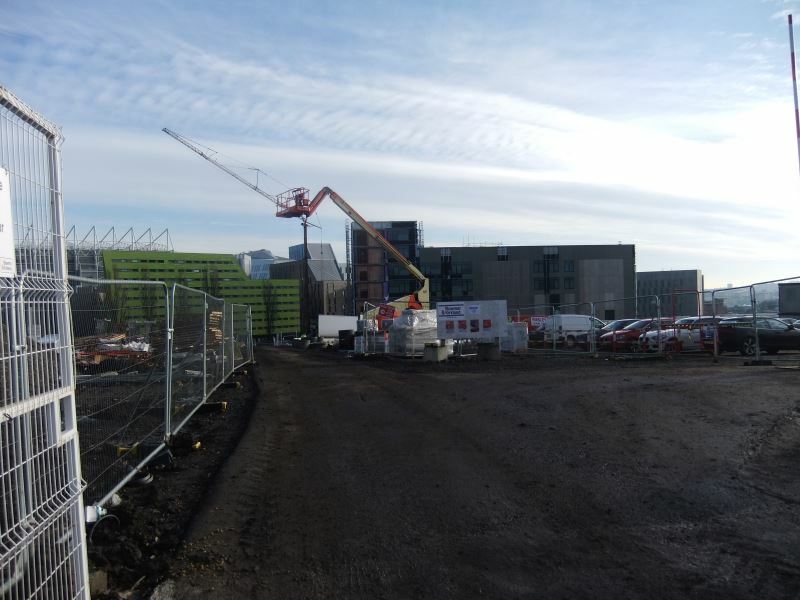 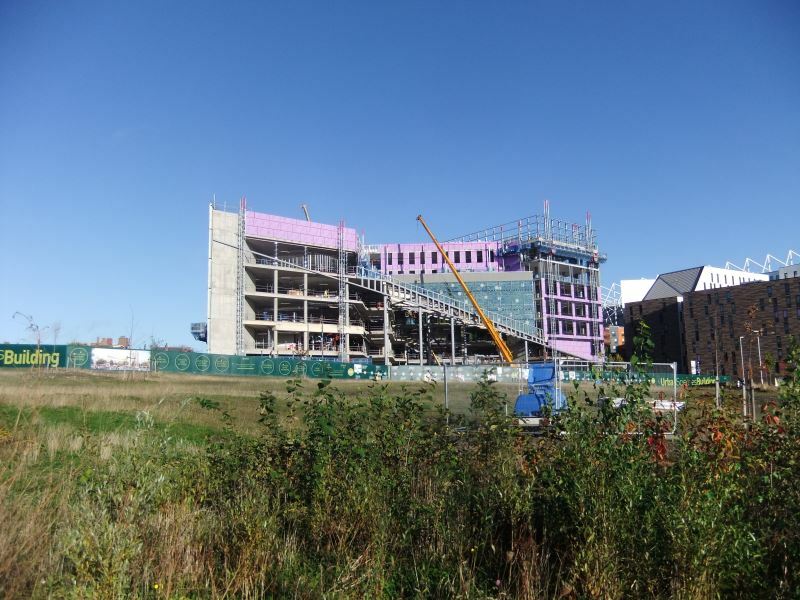 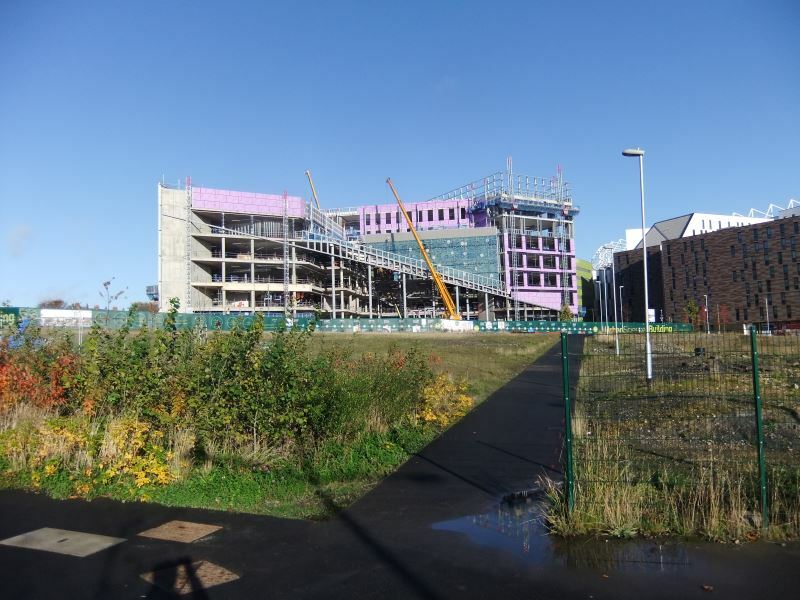 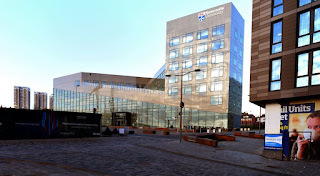 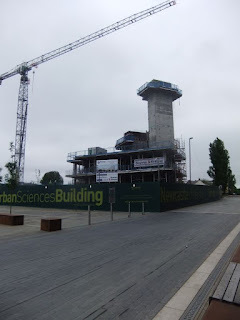 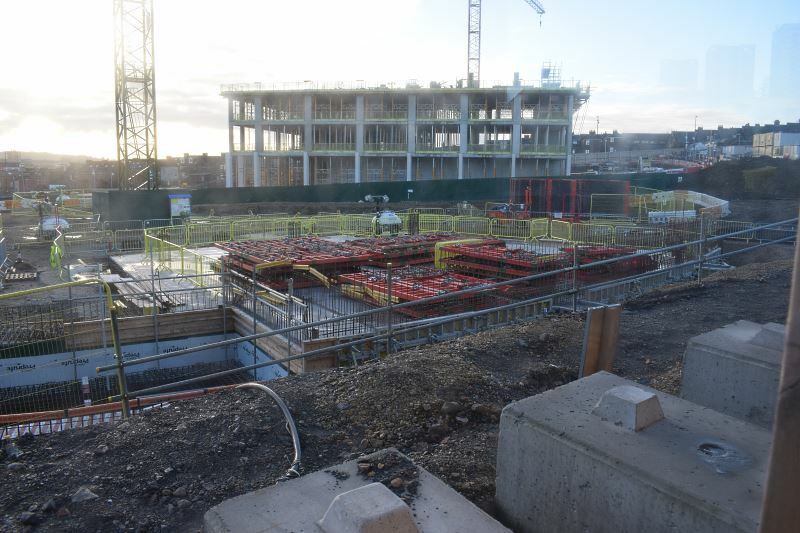 Newcastle University has some time lapse videos of the construction here Urban Sciences Building. 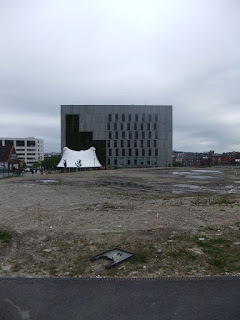 Thanks, neat. 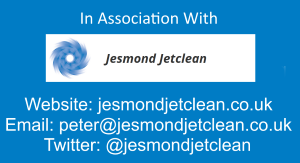 I'll put a link up to your page with videos on if thats ok? 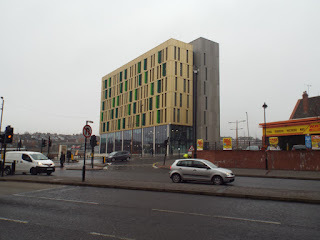 When I remember the old buildings that were pulled down to make room for these modern eyesores, I could weep. Who in their right minds honestly believes that anyone will relocate to this concrete and coloured panel desert?. 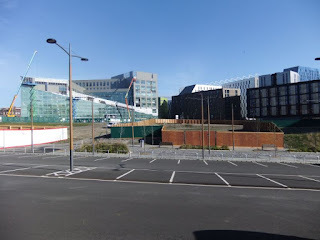 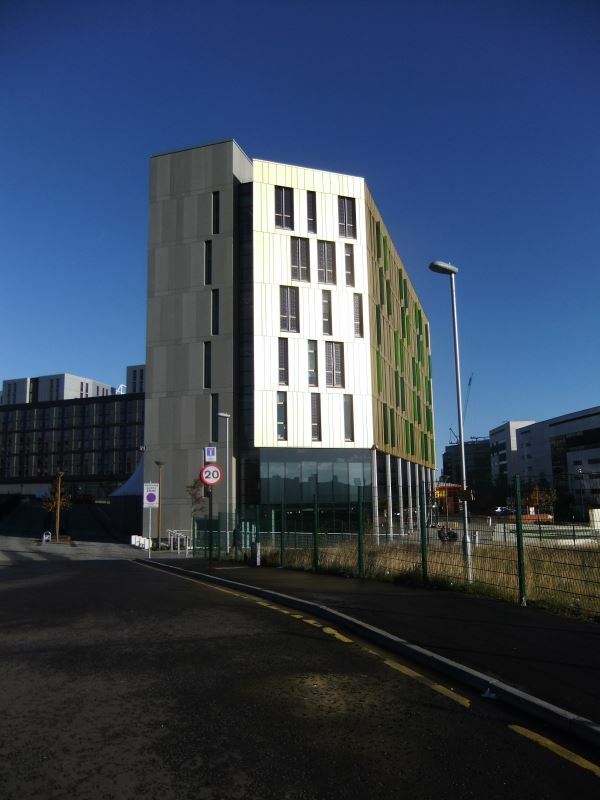 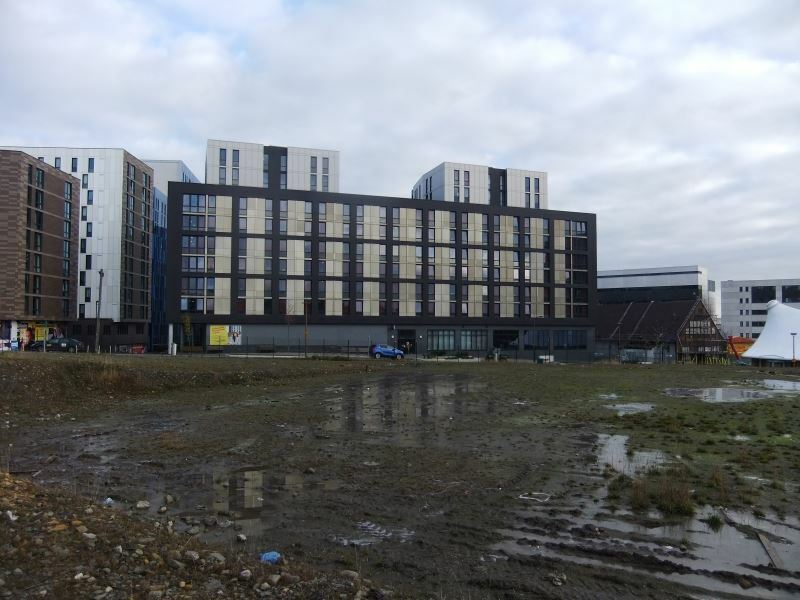 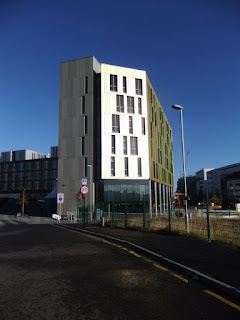 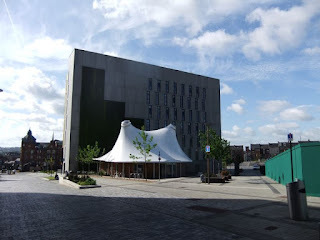 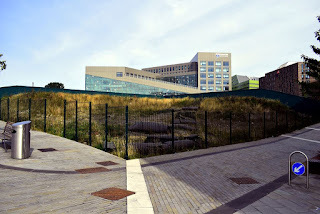 Unless they remake Logan's Run, it will all be rebuilt for student accommodation in a few years. 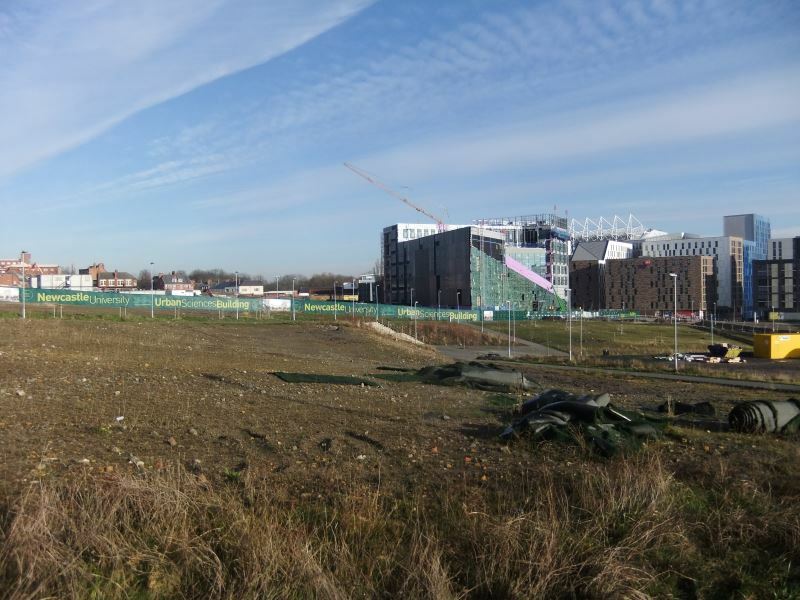 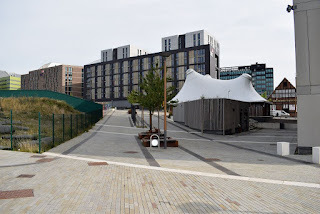 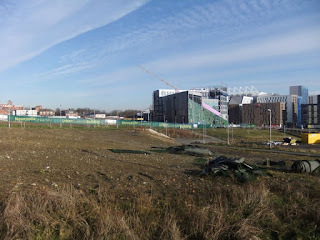 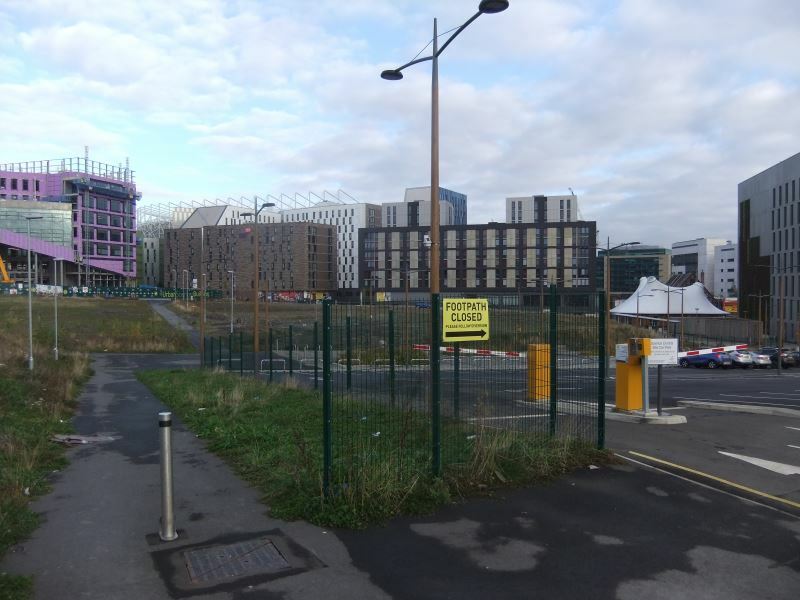 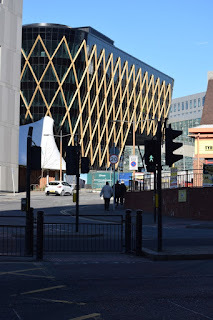 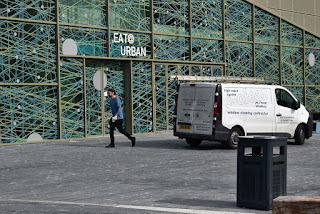 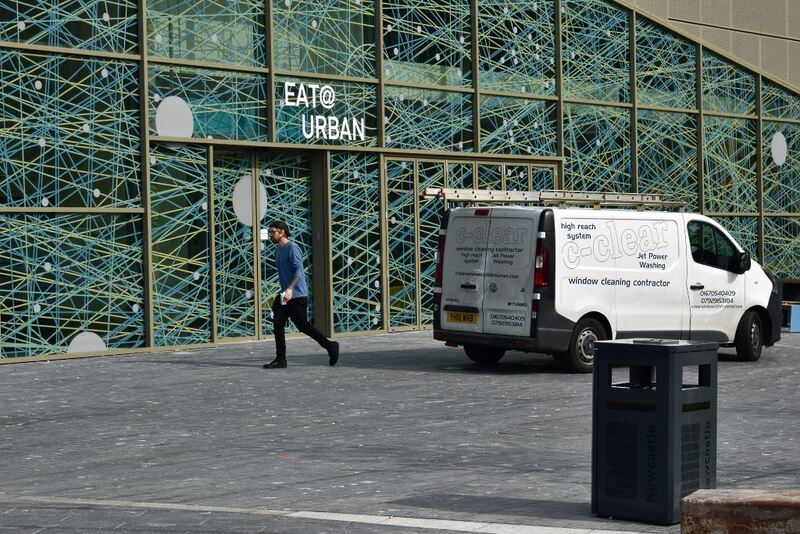 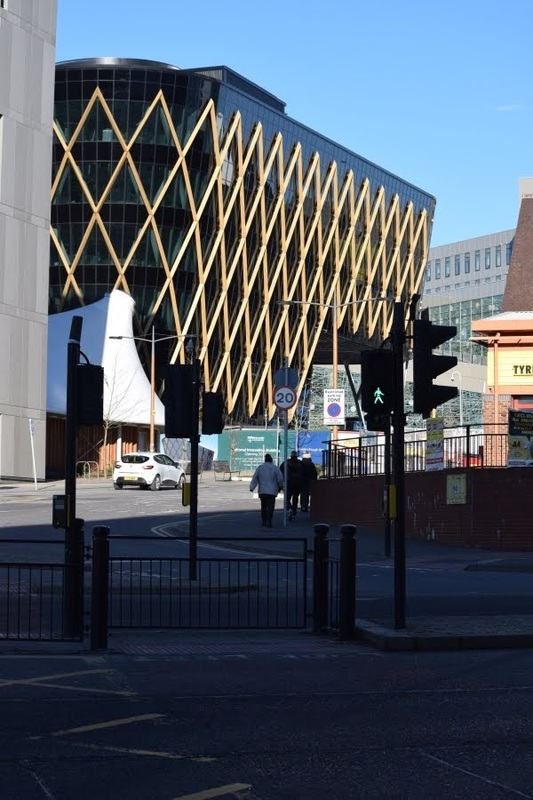 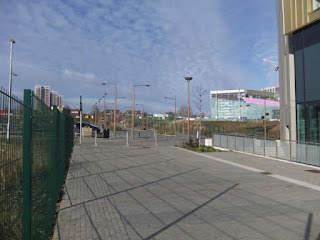 If they can't get people to move to Manchester, how on earth do they think they can get people to relocate design and industry to relocate here?. Car design companies relocate from California anyone?. 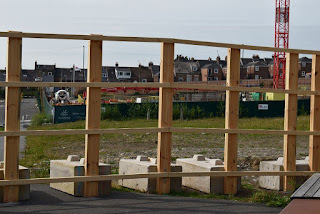 I think that the strength of the wacky bacy is equaled only by the size of the kick backs. 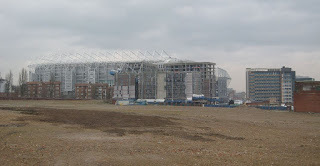 What a wasteland!.